SUPER CRUISING ARRIVES IN JUST ONE DAY ! OVATION OF THE SEAS ARRIVES INTO SYDNEY ! SuperCruising Arrives In Just One Day, Ovation Of The Seas Arrives Into Sydney ! 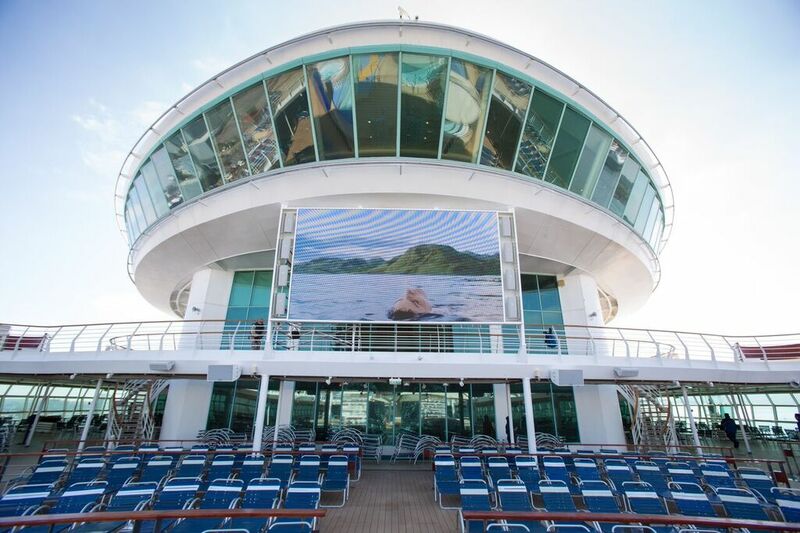 Royal Caribbean And The Today Show Introduce SuperCruising To The Nation. 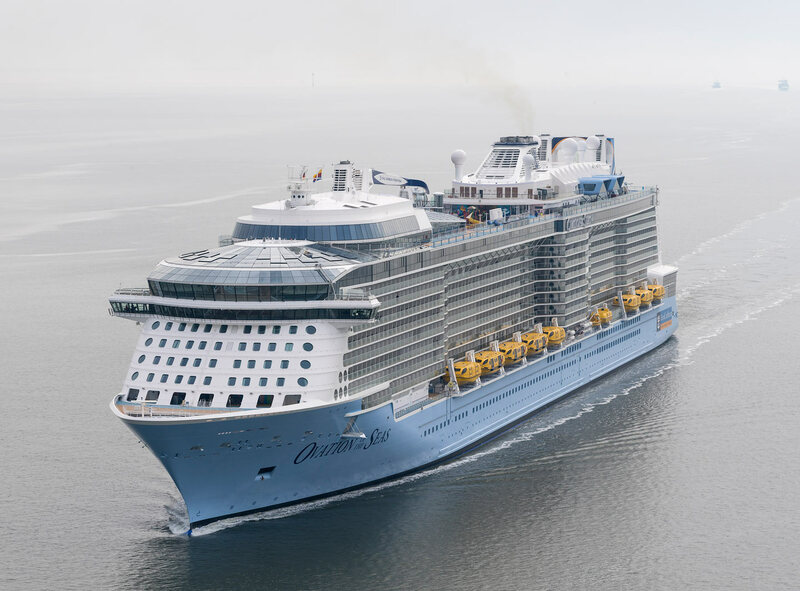 When Ovation of the Seas makes her hometown debut in Sydney, TV viewers around the country and those streaming online will be able to take a very special look inside the brand new world of supercruising when Channel Nine’s TODAY show broadcasts live from Australia’s biggest, newest and most technologically advanced ship on Friday 16 December. 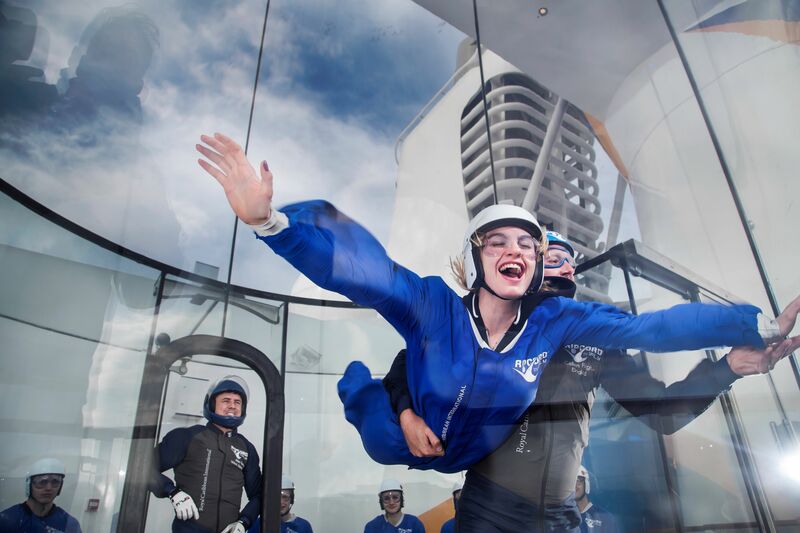 Which of the TODAY show’s intrepid presenters will try the iFly skydiving at sea? 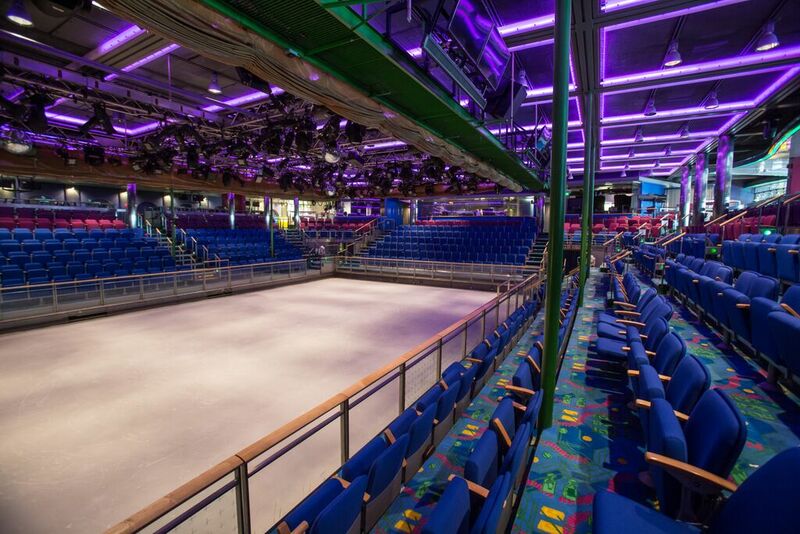 Who will tackle the surf on the FlowRider? 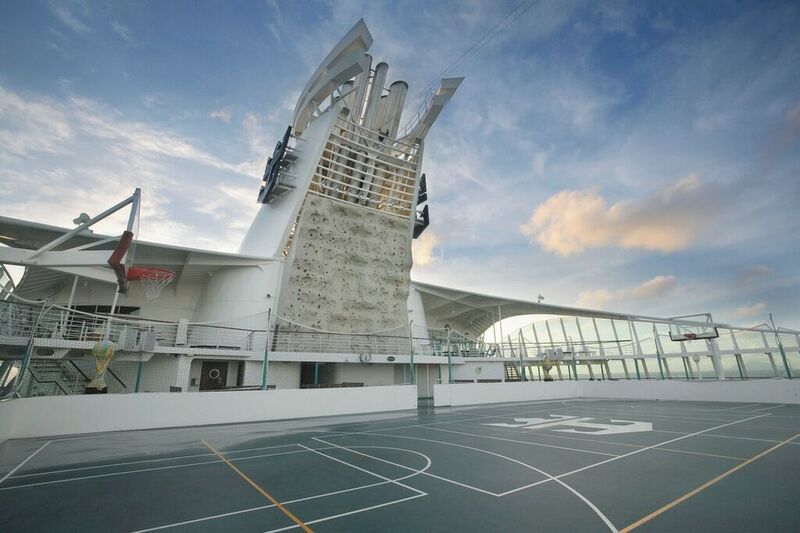 Is someone brave enough to try the trapeze or scale the rock climbing wall? And will Lisa, Peter and Richard go head to head on the bumper cars? 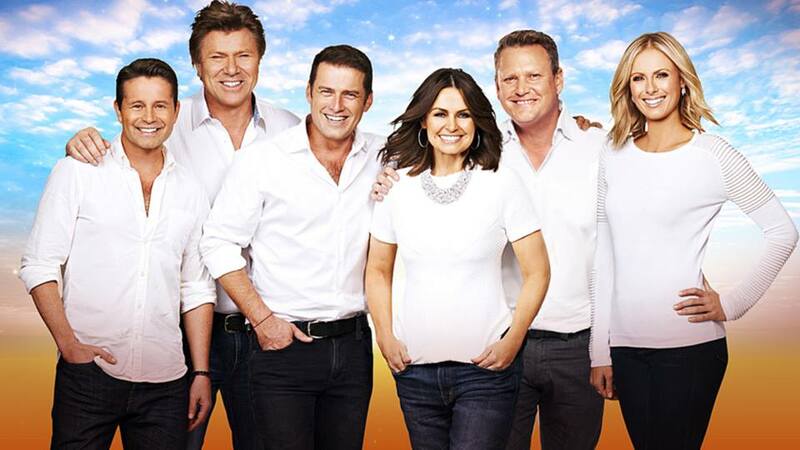 “Hosts Lisa Wilkinson, Richard Wilkins, Peter Stefanovic and Natalia Cooper will be among the first Australians to try supercruising on Ovation of the Seas for themselves,” said Adam Armstrong, managing director, Royal Caribbean Australia & NZ. Ovation of the Seas will make her historic arrival to her new Sydney home on 15 December after calling to Perth on 6 December, Adelaide on 11 December and Hobart on 13 December. The TODAY show will broadcast live from onboard the ship in Sydney Harbour on 16 December, from 5.30am to 9am. Ovation of the Seas spans 18 decks, encompasses 168,666 gross registered tons, measures 347 metres long, carries 4,905 guests in total and features 2,091 staterooms. FIRST ONBOARD APP FOR P&O CRUISES AUSTRALIA , SET TO BE A BIG HIT FOR SOCIAL MEDIA SAVVY CRUISERS. First On Board App For P&O Cruises Australia, Set To Be A Hit For Social Media Savvy Cruisers. With many cruise lines now introducing a way to be more social media savy, and making crusing more accessable, Australia’s leading cruise line, P&O Cruises Australia has launched its first onboard app. The app is called WhatsOn it allows the guests to plan their daily and nightly activities, make bookings and share all their cruising holiday experiences in real time throughout their cruise. The WhatsOn app will be free on personal devices when you are connected to P&O Cruises Australias' Wi-Fi, the best thing about this is that it will not cost you any money to connect to the WhatsOn app [ Interface ]. WhatsOn app provides will provide a new way for cruislings on board to stay in touch with their family and friends during their cruise. The app will allow families and friends travelling together to send messages to one another, check in and ‘like’ locations as well as recommend activities, ensuring no one misses out on any holiday fun. The new WhatsOn onboard app has been succesfully rolled out on Pacific Eden, Dawn, Jewel and Pacific Pearl. P&O Cruises Australia have said that Pacific Aria set to come online later this week. PRINCESS CRUISES SCOOPS THE POOL IN THIS YEARS CRUISE PASSENGER AWARDS. Princess Cruises has topped this year’s Cruise Passenger Readers’ Choice Awards, winning four awards - including the leading category of Best Ocean Cruise Line Overall for the second year running. The cruise line has also won the title of Best Premium Cruise Line for the third year in a row, while taking out the awards for Best Entertainment and Best Spa for the second consecutive year. Princess Cruises Vice President Australia & New Zealand Stuart Allison said he was proud that Princess had won so many categories across the field, including the top gong. "To win all these awards over consecutive years is a real honour,” Mr Allison said. “We’ve been cruising from Australia for almost 15 years, and over that time we’ve continued to develop and evolve our holiday offering, so these awards are fantastic recognition from the cruise passenger community -- we’re delighted to know so many travellers enjoy our cruises,” Mr Allison said. 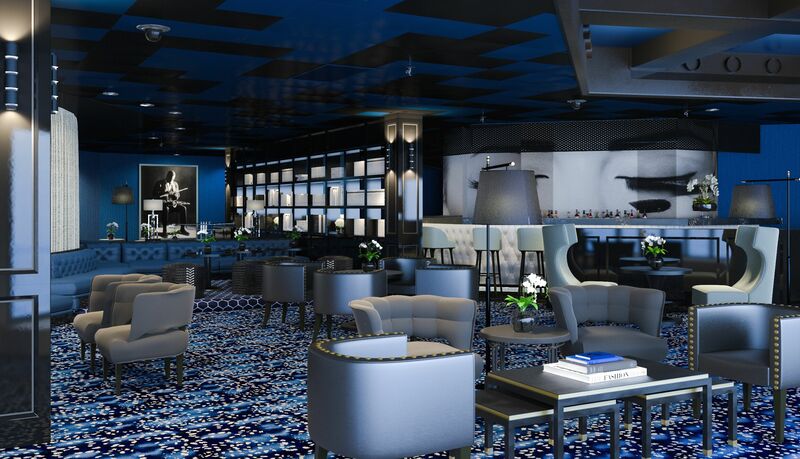 “The past 12 months have been huge for us – we’ve launched new SHARE by Curtis Stone restaurants and enhanced our entertainment offering with the introduction of new shows like Magic to Do by award-winning Broadway producer Stephen Schwartz and the popular Voice of the Ocean competition. Mr Allison said Australia was a key market for Princess Cruises, with five ships based Down Under over the 2016-17 cruise season. Princess carries two-thirds of Australians cruising to New Zealand and is the only cruise line to offer roundtrip world cruises from local shores. Photos Credit: Brian Gaskin Of Cruise The Seas Media. P&O CRUISES AUSTRALIA VOTED AS BEST FAMILY CRUISE LINE IN AUSTRALIA. 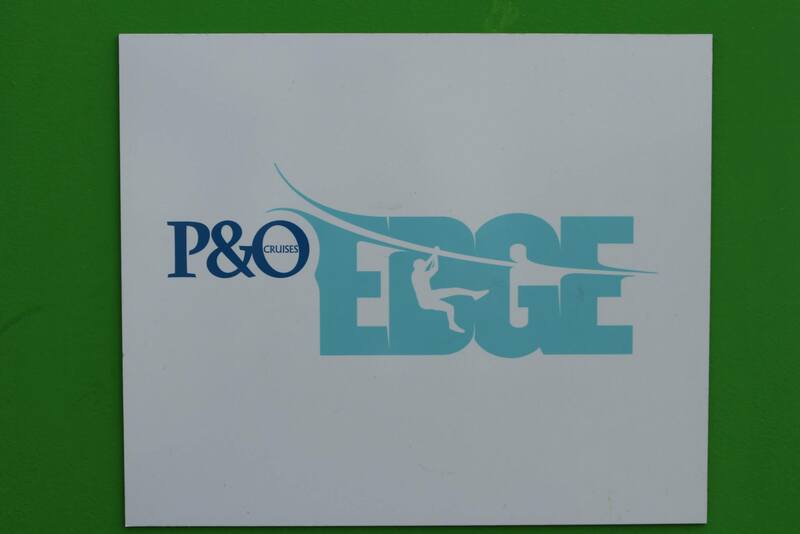 Well to say it's been a BIG year for P&O Cruises Australia would be an understatement ! With the introduction of two newly referbished ships in Pacific Aria and Pacific Eden growing the homegrown fleet to five ships. The cruise line has again been finished the year on a high with the news that P&O Cruises Australia has been named Best Family Cruise Line in Cruise Passenger’s annual Readers' Choice Awards, which are voted by the cruise passengers themselves. The nod from Australia’s only dedicated consumer cruise magazine follows another ‘Best Family Cruise Line’ award earlier in the year from the readers of leading family publication - Out & About with Kids. 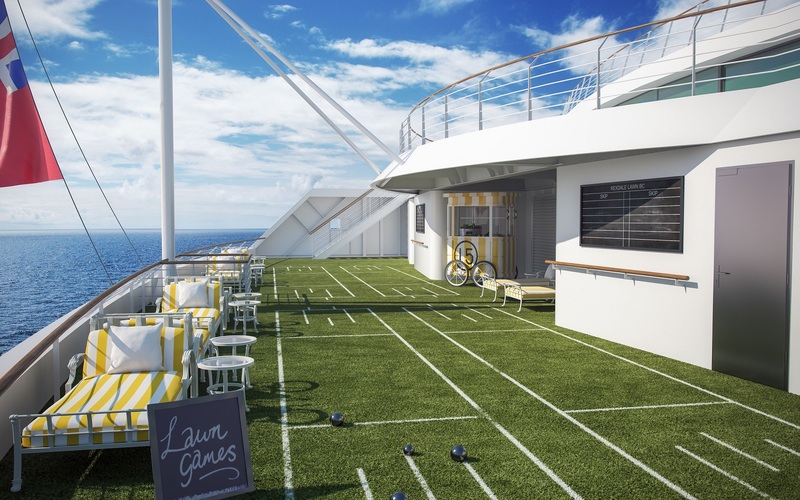 ROYAL CARIBBEAN INTERNATIONAL LIVES LIFE BIG WITH NEW TV COMMERCIAL. Keep an eye out for Royal Caribbean’s brand new 60 second television commercial, which premiering last night during Nine News Sunday. 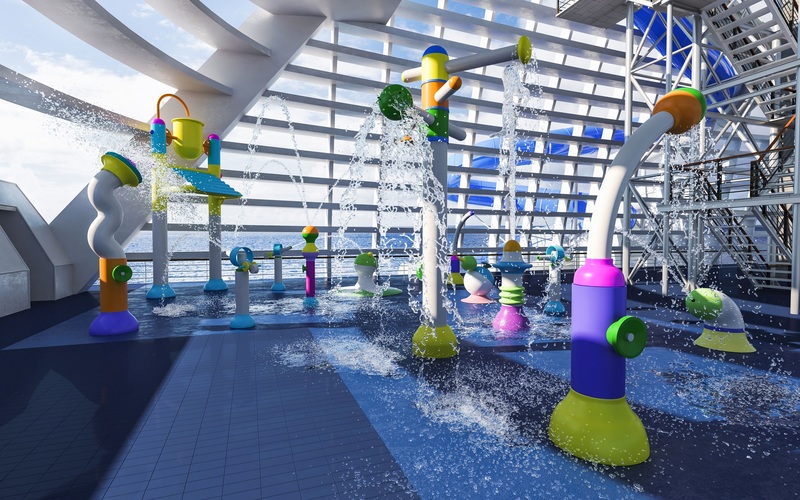 Featuring all the big features Australians have come to know and love from Royal Caribbean, like big adventure, big fun and the biggest ships with the space to do it all or nothing at all, the TVC brings to life the Royal cruise experience across the fleet. Created in both a 60 second version and two 30 second versions, the TVCs will air on Channel Seven and Nine in a variety of programs in coming months. 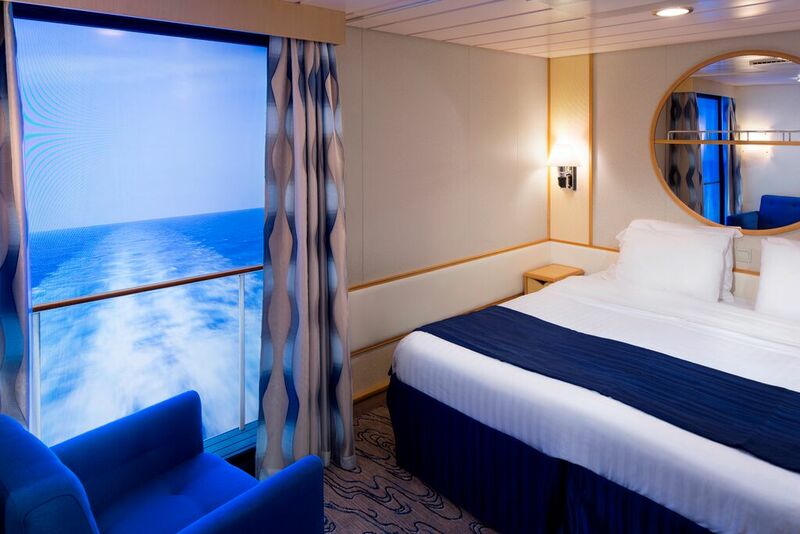 To view the new TVC online or for further information, head to www.royalcaribbean.com.au/royallife or https://www.youtube.com/user/rciaustraliaandnz. Cruise The Seas Media, The HOME Of Australian Cruising! 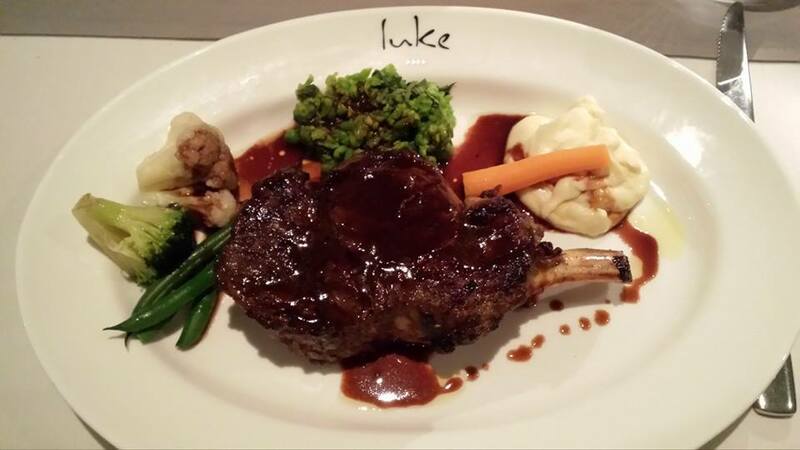 LUKE MANGAN'S CULINARY EXPERIANCE OFFICER MAY PAN OUT AS LUKE MANGAN CEO. Accomplished Australian restaurateur Luke Mangan has hand-picked two talented home cooks and foodies Sammy Jakubiak and Sofia Levin as short-listed finalists in his Search for a CEO (Culinary Experience Officer) campaign, launched in March. 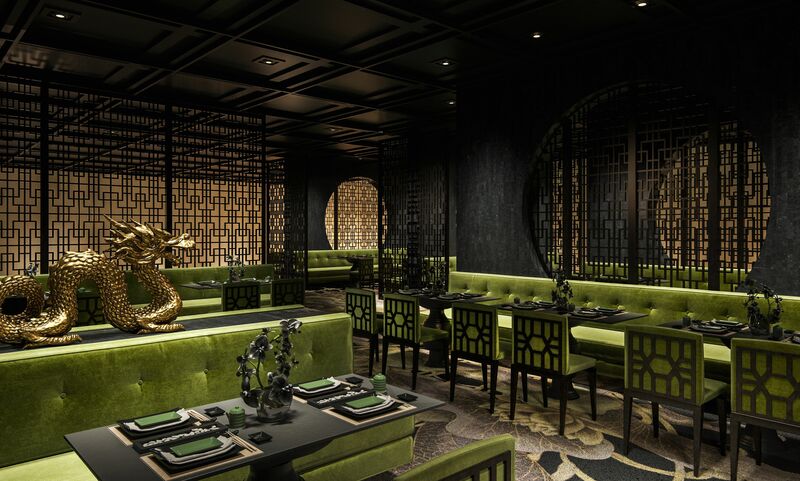 The campaign marks Mangan’s milestone of becoming the first restaurateur in the world with dishes served on land, sea, air and rail following a recent partnership with Eastern & Oriental Express. Of the five dishes created for the occasion, Sammy’s was a beautiful creation of orange and amaretto cheesecake while Sofia’s was a delightful beetroot cured kingfish. 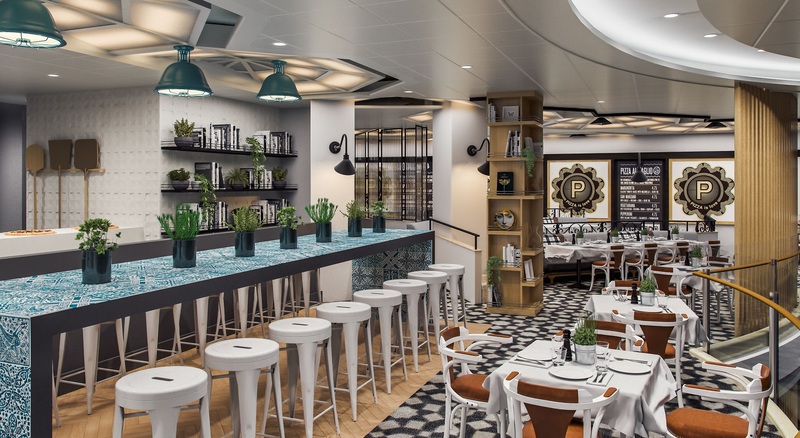 Chosen by a panel of judges including Luke Mangan and P&O Cruises President Sture Myrmell and a popular vote on the day, the two winners will now create a dish each to be available in all Salt grill restaurants onboard all five P&O Cruises’ ships. Below are the Biographies of each finalist. The CEO Trip Of A Lifetime. About Luke Mangan & Company. 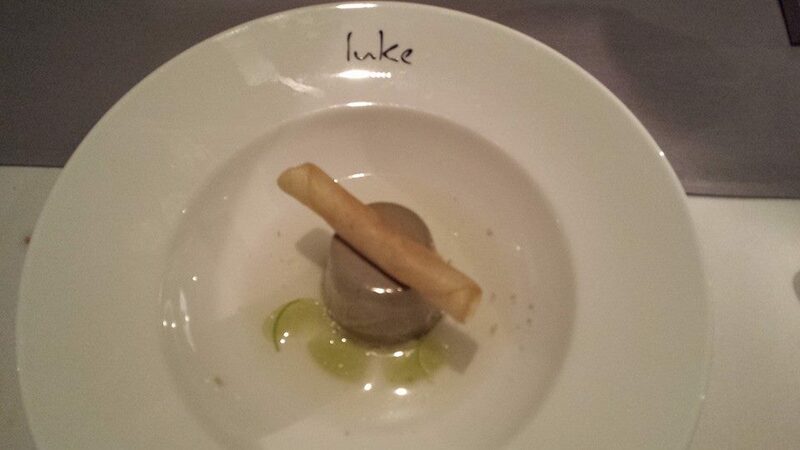 For more information on Luke Mangan & Company please visit http://www.lukemangan.com. 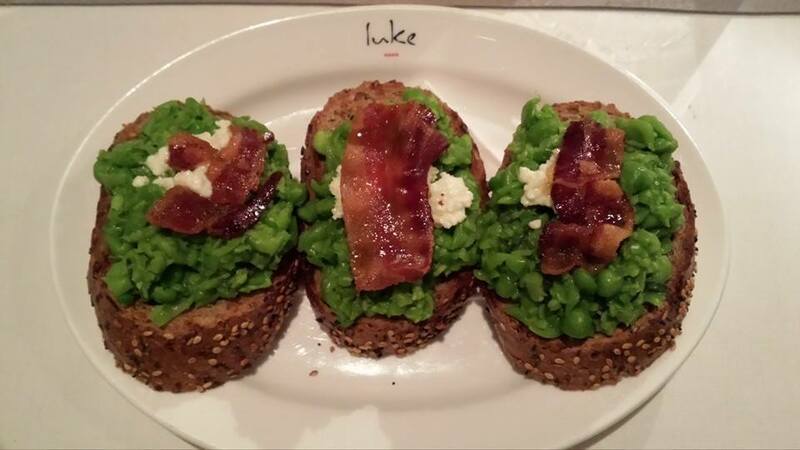 Information supplied by: Luke Mangan Company. 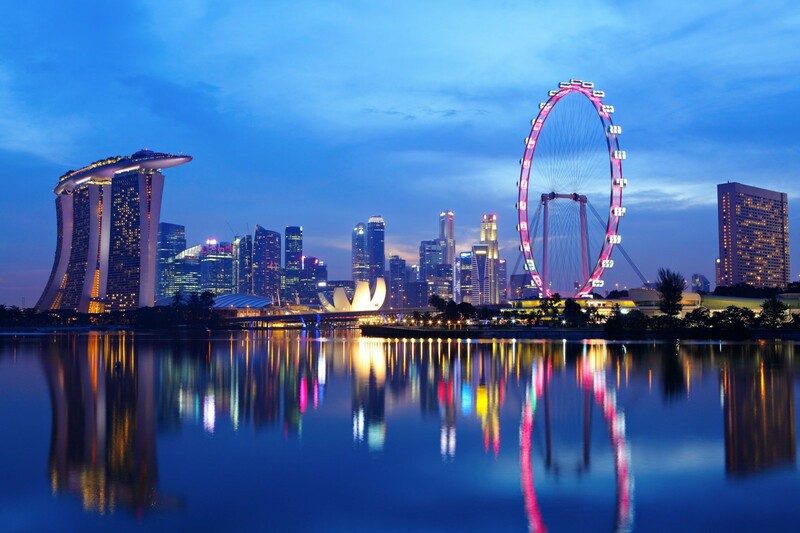 CARNIVAL SPIRIT HEADS TO ASIA WITH A VOYAGE TO SINGAPORE OFFERING A TASTE OF THE ORIENT. Photo supplied by: Brian Gaskin Of Cruise The Seas Media. Cruise The Seas Media The HOME Of Australian Cruising! THREE OF THE SOUTHERN HEMISPHERE'S LARGEST SHIPS CRUISE FROM SINGAPORE IN BIGGEST CRUISE SEASON. THREE OF THE SOUTHERN HEMISPHERE’S LARGEST SHIPS CRUISE FROM SINGAPORE IN BIGGEST CRUISE SEASON. The Southern Hemisphere’s largest cruise ships Ovation of the Seas, Mariner of the Seas and Voyager of the Seas will be back sailing from Singapore from this October to May 2017 to offer Royal Caribbean International’s longest-ever Singapore season, which will run for eight months totalling 55 cruises and expected to bring an estimated 200,000 guests to ports in Southeast Asia. The deployment of the three ships will increase Royal Caribbean’s capacity in 2017 in Southeast Asia by 30 per cent. Kicking off the season is Mariner of the Seas from October 2016, with 39 sailings through to March next year. Mariner will offer sailings ranging from three to seven nights to popular destinations including Penang, Langkawi, Kuala Lumpur (Port Klang), Phuket, Bangkok (Laem Chabang) and Ho Chi Minh City (Phu My). New itineraries for the season include a three-night Penang Weekend Cruise which will feature night touring and a four-night Phuket cruise. Other highlights for Mariner of the Seas include her festive cruises for Christmas and New Year in December and Chinese New Year in January 2017 which offer guests special entertainment, decorations and feasts onboard. A range of special theme cruises will also feature during the season including a Salsa Cruise this December featuring renowned international salsa dancers and the second Cosfest Sea Cruise next February where guests can look forward to a cosplay themed parade, anime party and treasure hunt. 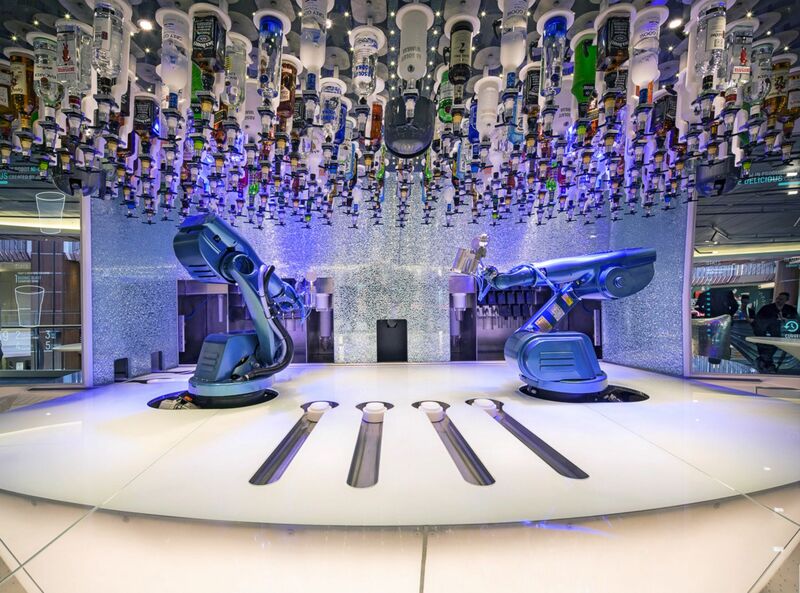 The largest and newest ship sailing in the Southern Hemisphere, Ovation of the Seas which made her debut in Singapore in June introducing a whole new way to holiday – supercruising - will be back sailing in the region from March to April 2017 after her maiden Australian season. The US$1 billion vessel will offer a total of 10 new sailings, comprising of three to five nights to Penang, Phuket, Bangkok (Laem Chabang) and a 12-night one-way cruise to Tianjin with an overnight call at Ho Chi Minh City (Phu My), as well as calls to Hue/Danang (Chan May), Hong Kong and Seoul (Incheon). Ovation of the Seas alone is expected to add some 42,000 additional guests to the Singapore cruising scene, and deliver millions through in-port spend. Voyager of the Seas will again return to Singapore in May 2017 after her Australian season, to offer six Southeast Asian sailings, ranging from three to five nights to Kuala Lumpur (Port Klang), Penang, Phuket and an eight-night one-way cruise to Hong Kong, with an overnight call to Bangkok (Laem Chabang), and calls to Ho Chi Minh City (Phu My) and Nha Trang. 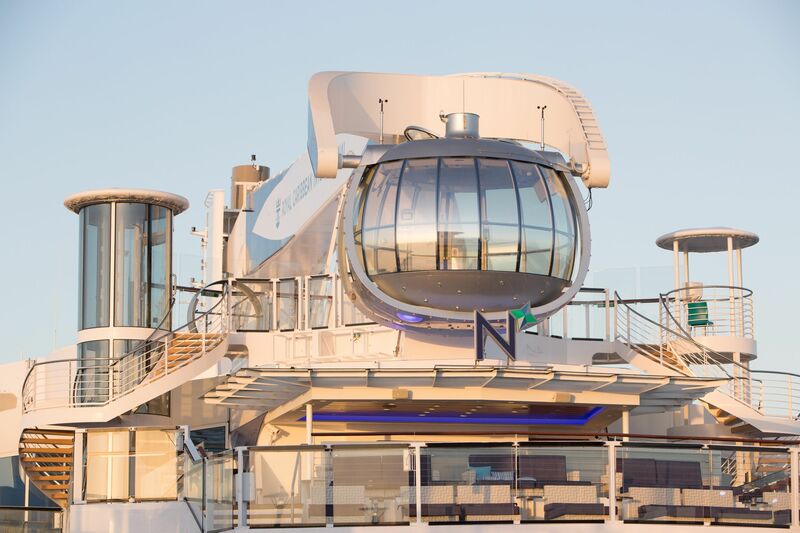 Royal Caribbean’s unmatched innovations in onboard attractions introduced onboard Ovation of the Seas include the North Star, a glass viewing capsule that takes guests more than 90 metres above the ocean for incomparable panoramic views. 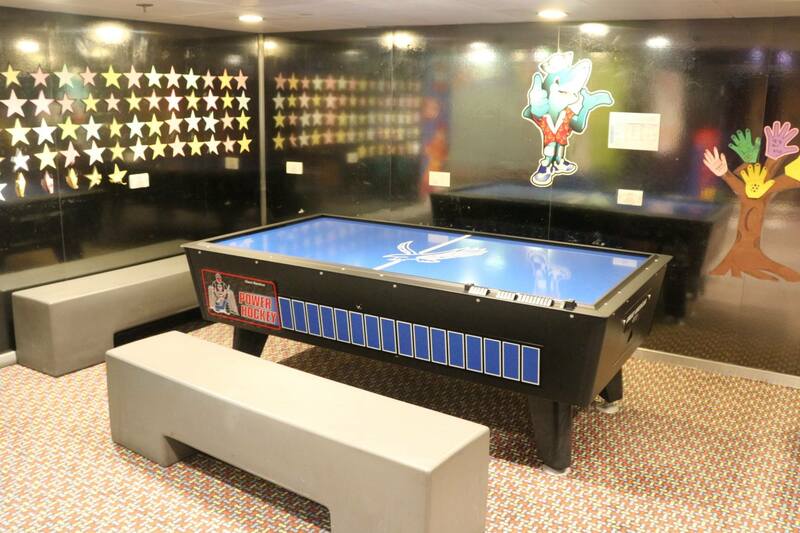 For guests seeking an adrenaline-fueled experience there is the thrilling RipCord by iFly skydiving experience, and the FlowRider surfing simulator, where guests can surf on the high seas. The 15-deck, 3,800-guest Voyager Class ships Mariner of the Seas and Voyager of the Seas are also packed with entertainment and activities for guests of all ages, such as the Royal Promenade, ice skating rink, full-sized sports court and DreamWorks Entertainment. 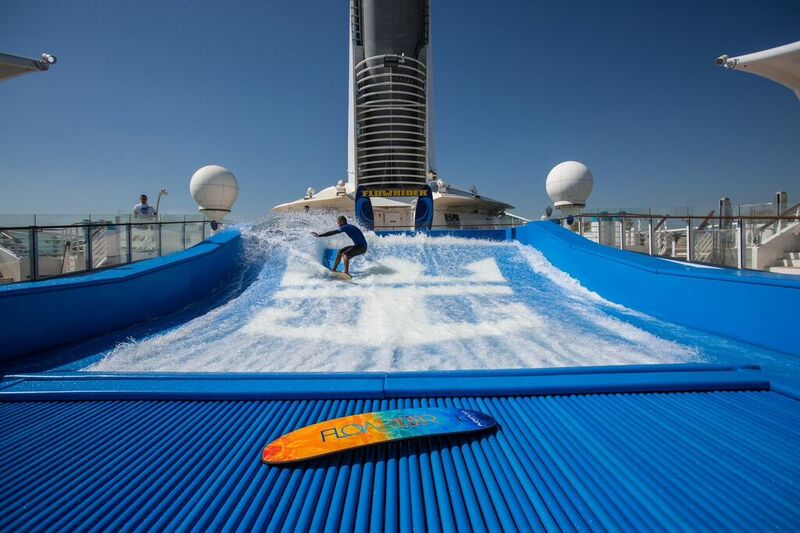 In addition, Voyager of the Seas also features Royal Caribbean’s signature FlowRider surf simulator. NATIONAL GEOGRAPHIC TRAVEL TEAM CRUISES TO PNG WITH P&O CRUISES AUSTRALIA. US-based Associate Photo Producer Jess Mandia and Associate Producer Becky Davis travelled to Brisbane to join the memorable 10-night voyage, which saw them learning about the history of Papua New Guinea, visiting special sites such as the skull caves of Alotau and Rabaul’s live volcano and enjoying beautiful snorkelling in the waters off Kitava and Kiriwina. 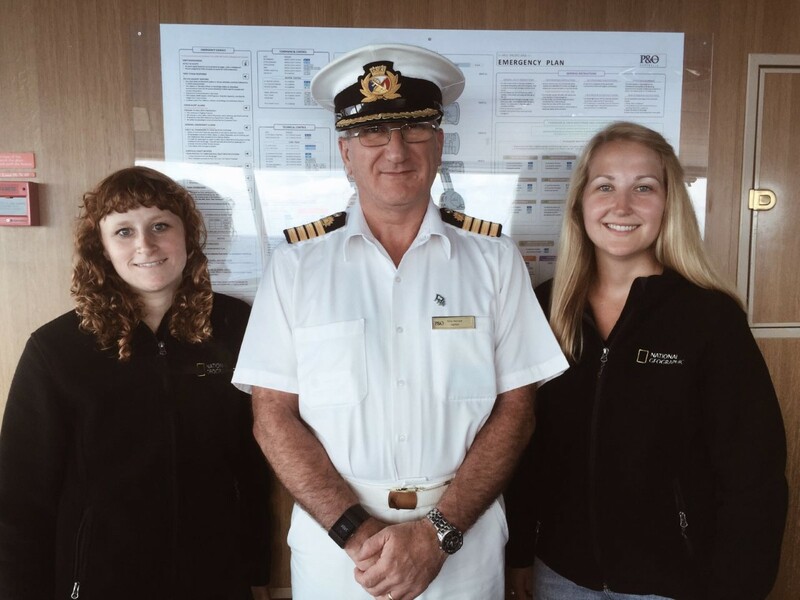 Pictured in the attached image are (L-R): Jess Mandia – National Geographic Associate Photo Producer, Pacific Aria Captain Anthony Herriott and Associate Producer Becky Davis. RECORD NUMBER OF AUSTRALIAN CRUISERS FILL IN CENSUS FORMS AT SEA. More than 5000 P&O guests will be filling in their Census forms at sea tomorrow night, with three of the cruise line’s ships sailing domestic waters on August 9th when the next Census is conducted. 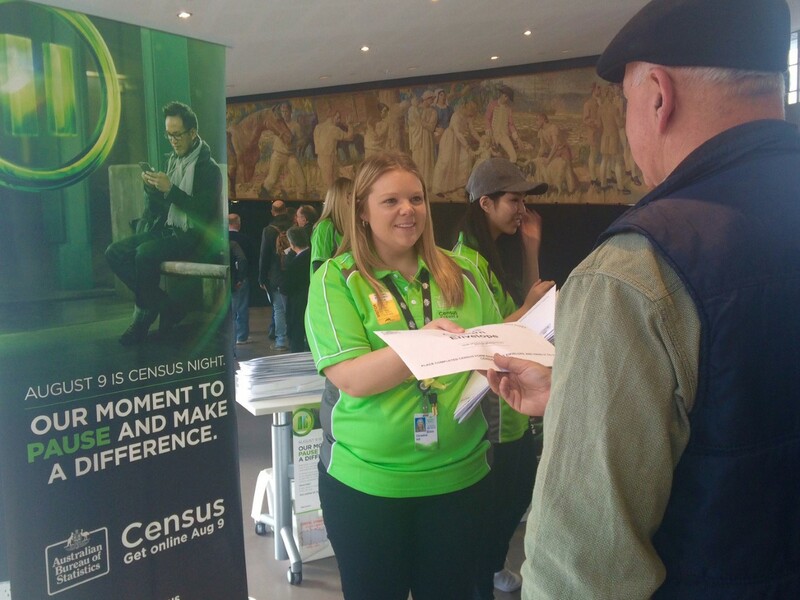 Census staff were busy handing out individual Census packs to guests boarding Pacific Jewel in Sydney on the weekend, giving travellers the option to complete the Census form online during their cruise or fill in the paper form, which will be collected when the ship returns on August 12th. Working in liaison with P&O, the Australian Bureau of Statistics will also have a team of staff supplying Census forms to passengers sailing on Pacific Aria from the Brisbane Cruise Terminal today August 8th as well as guests leaving Sydney on Pacific Pearl on the evening of August 9th. The three P&O ships will be sailing on domestic cruise itineraries on August 9, which means that while passengers will be offshore, they will not have cleared customs but they must be included in the Census count. While cruise ships have been counted in previous Census operations, three cruise ships sets a new record. Australia’s largest peacetime operation, the Census aims to count everyone who is in Australia on Census night, collecting valuable data which helps inform planning and Government funding decisions for services and infrastructure. PACIFIC EDEN MAKES HISTORY CRUISING FROM SINGAPORE, AS ASIAN ITENARIES BECOME POPULAR ! 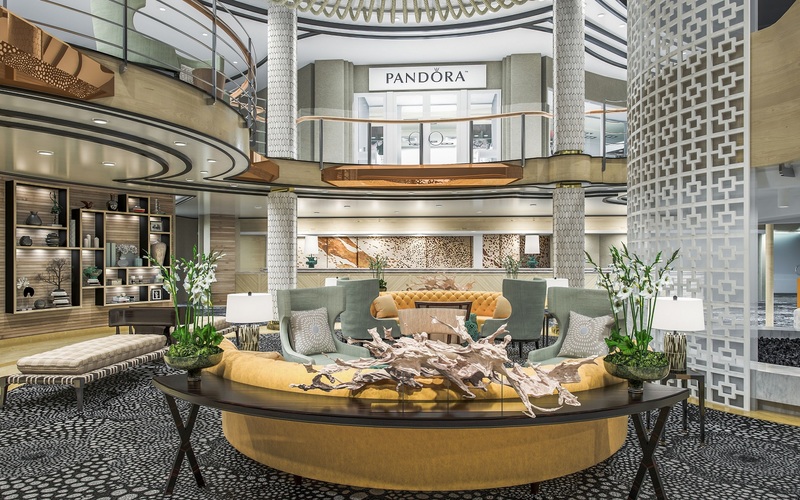 P&O Cruises’ Pacific Eden is making history in Asia this month, chalking up seven maiden calls for the Australian cruise line as part of her inaugural Singapore season. 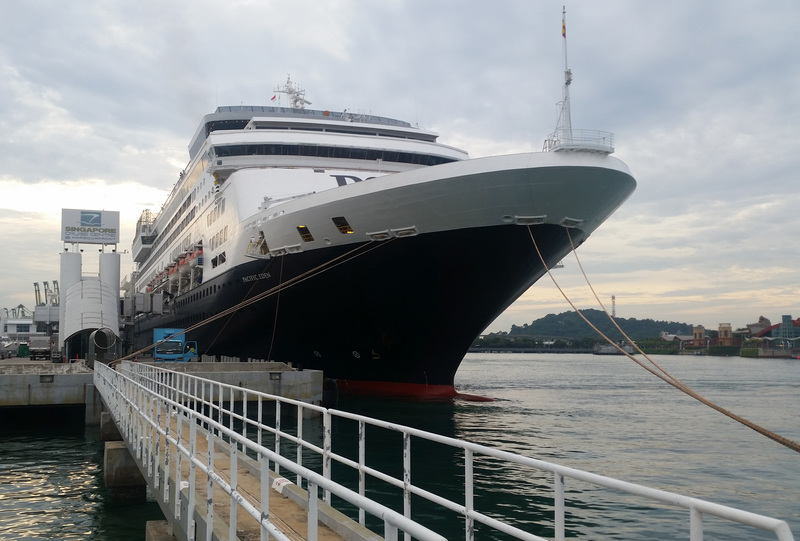 The 1500-guest ship departed on her first cruise from Singapore on Saturday, marking the start of a month-long deployment in the region which will see her offer four roundtrip seven-night cruises visiting a range of stunning ports in Malaysia, Thailand, Cambodia and Indonesia. 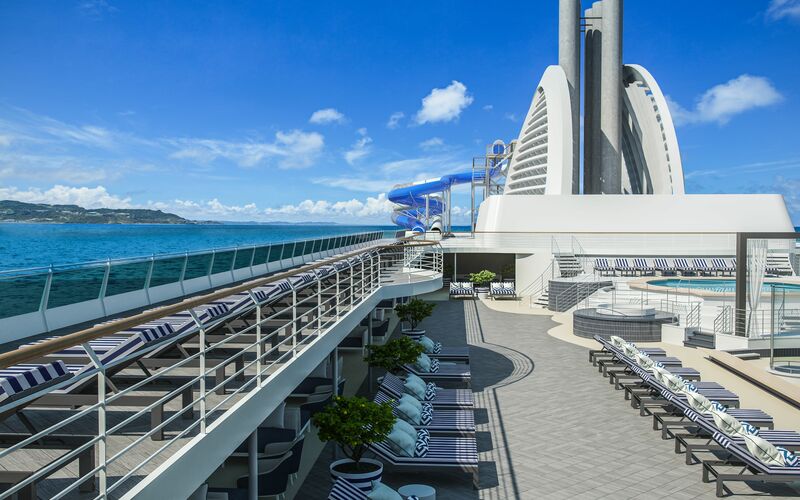 Pacific Eden’s itineraries feature a series of maiden visits for P&O, commencing with the cruise line’s first call to Langkawi in Malaysia today. Tomorrow (August 2) she will make P&O’s maiden visit to Krabi in Thailand, followed by the cruise line’s first calls to Phuket on Wednesday (August 3) and Sabang in Indonesia on Thursday (August 4). 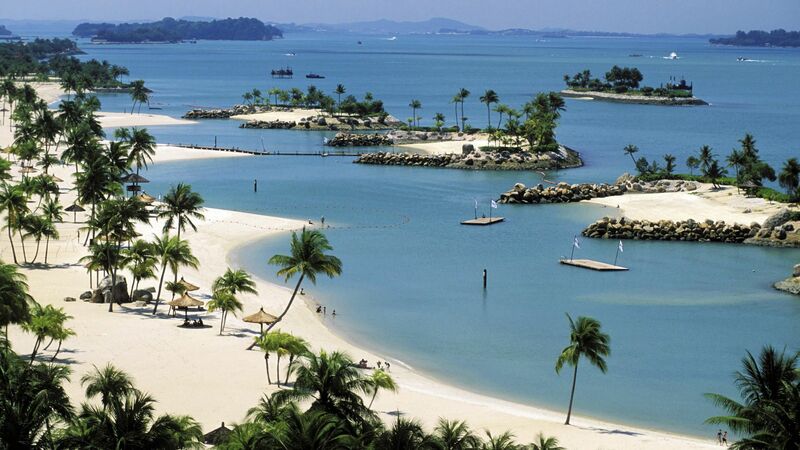 After returning to Singapore on Saturday, Pacific Eden will sail on her second roundtrip cruise from the city which will include P&O’s inaugural visits to Cambodia’s Sihanoukville (August 8), and Thailand’s beautiful Ko Chang (August 9) as well as the island of Koh Samui (August 11). Her final cruise from Singapore will be a 14-night sailing to Cairns, where she will be homeported for two months, becoming the first ship to be based in the northern Queensland city. 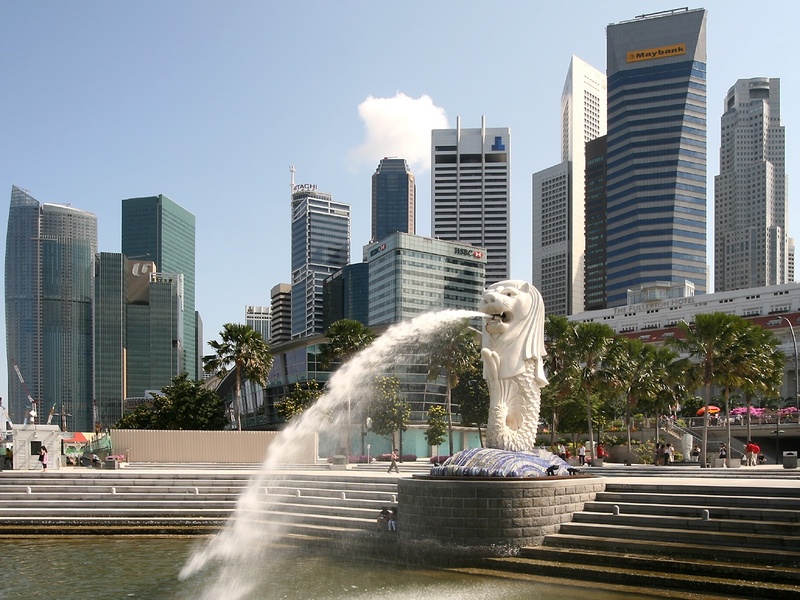 The Singapore season follows the expansion of P&O’s fleet with the addition of Pacific Eden and her sister ship Pacific Aria last November, opening the way for P&O to establish new homeports and extend its itineraries. P&O Cruises President Sture Myrmell said the cruise line was excited to be offering so many new Asian ports to its guests. 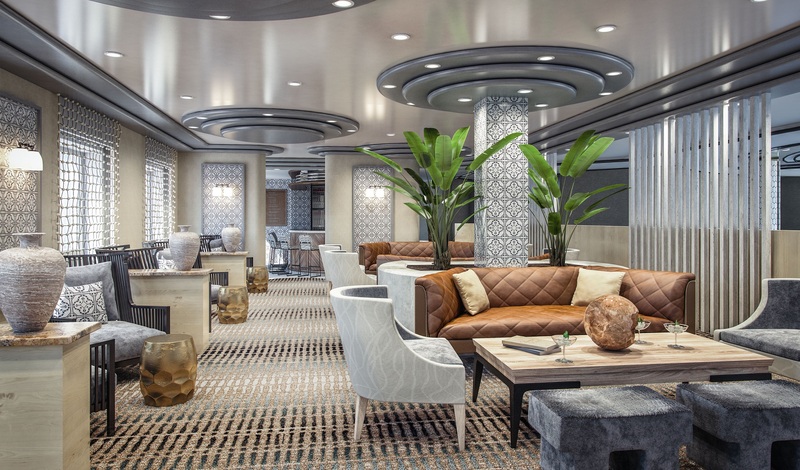 “The seven-day itineraries mean guests can discover a fantastic collection of stunning ports throughout Asia, while enjoying all the comforts of our stylish Pacific Eden, so they really are quite special,” Mr Myrmell said. 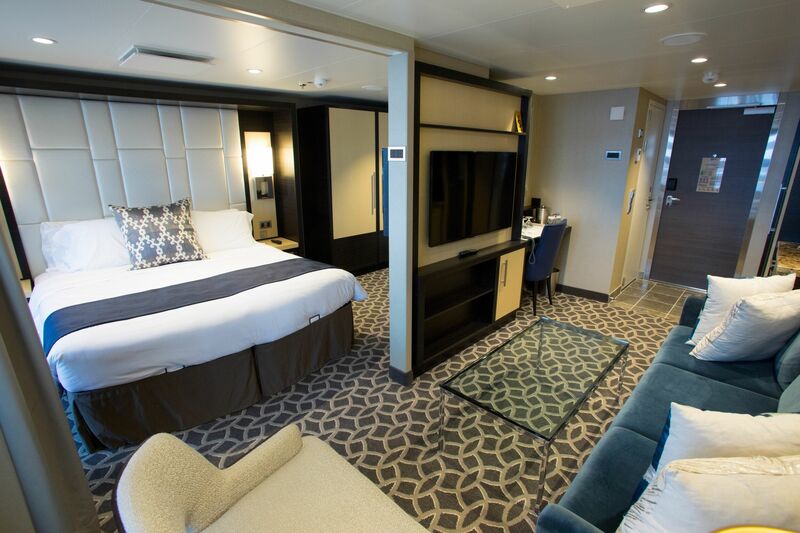 Mr Myrmell said many Pacific Eden guests had combined the ship’s eastern and western Asia itineraries to create a longer 14-day holiday at sea, visiting eight ports across four countries. Pacific Eden will return to Singapore in July next year offering two seven-night roundtrip cruises priced from $899 per person quad share. 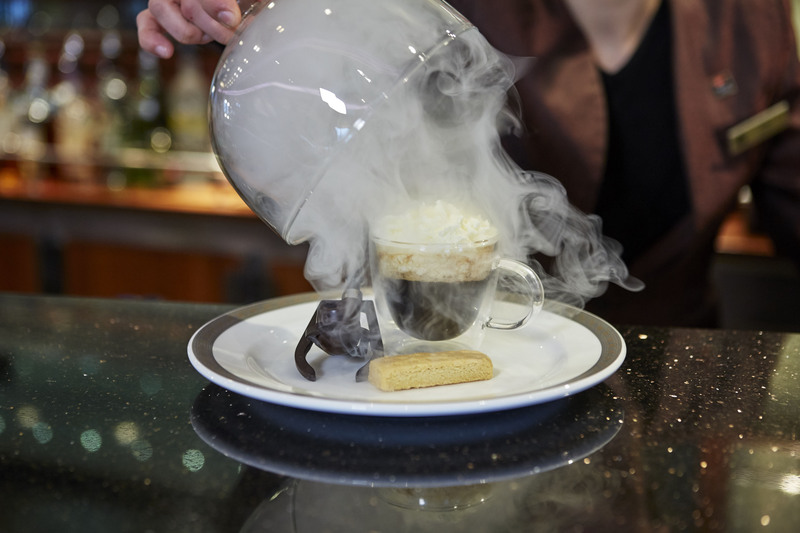 Photo supplied by: P&O Cruises Australia. P&O CRUISES AUSTRALIA NAMED AS AUSTRALIA'S MOST TRUSTED CRUISE LINE ! 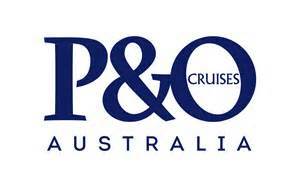 P&O Cruises Australia Named As Australia’s Most Trusted Cruise Line ! The cruise line has been named as Australia’s most trusted cruise line in the Reader’s Digest 2016 survey of Australia’s Most Trusted Brands announced this week. 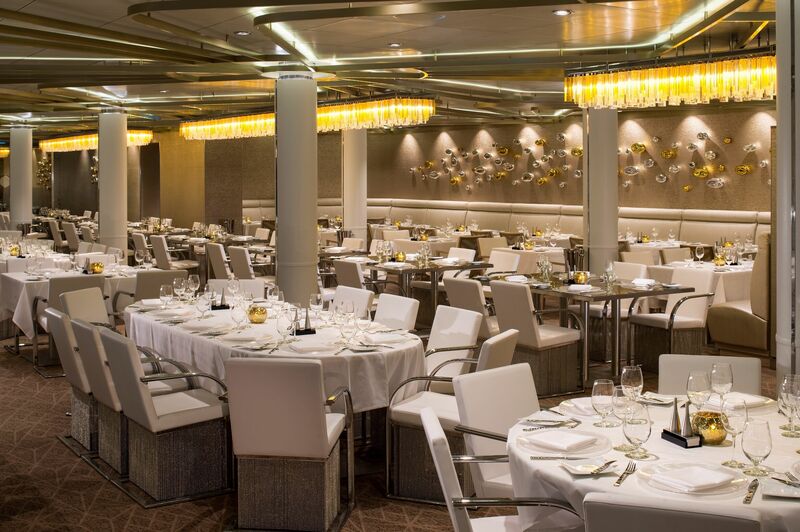 P&O Cruises President Sture Myrmell said he was thrilled that P&O Cruises had claimed the title yet again. “The past twelve months have been huge for us. 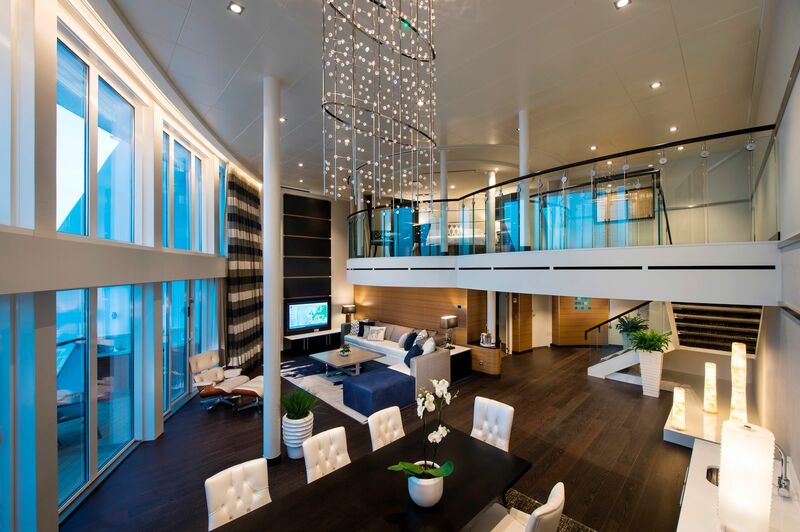 We’ve introduced our two latest ships Pacific Aria and Pacific Eden, announced the very first new-build ship exclusively for the Australian market and revealed details of the next addition to our fleet, Pacific Explorer,” Mr Myrmell said. “Throughout that time, we’ve worked hard to offer a quality, contemporary product that speaks to Australian cruisers and our continued recognition in these awards is a wonderful vote of confidence in our brand”. EMERALD PRINCESS' AUSTRALIAN DEBUT COUNTDOWN IS ON ! 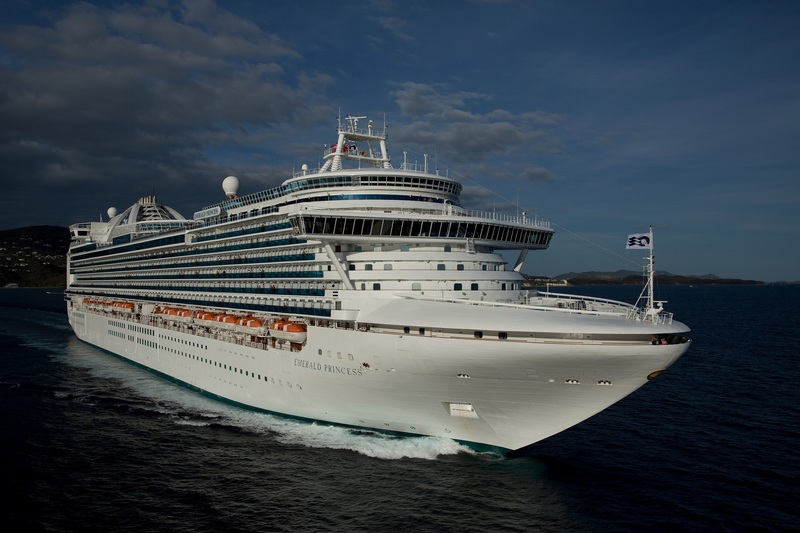 Emerald Princess’ Australian Debut Coundown Is On ! 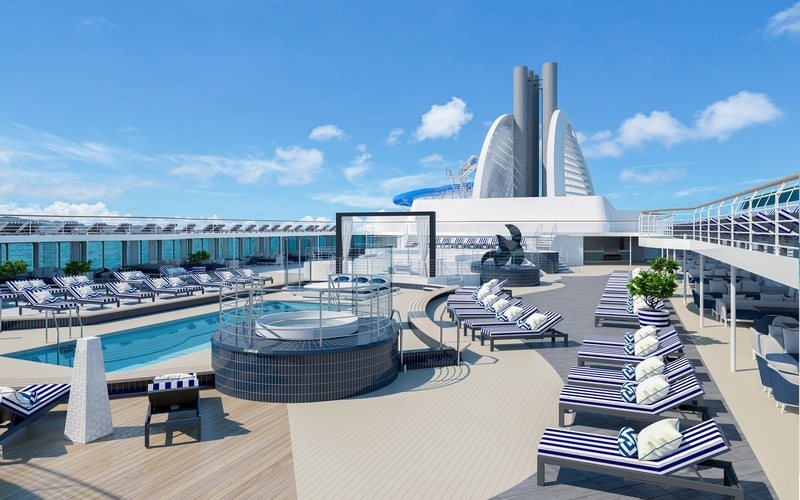 The countdown is now on for the maiden arrival of the biggest Princess Cruises’ ship to be based Down Under this summer – the spectacular 3082-guest Emerald Princess, which will sail into Sydney Harbour on November 15. 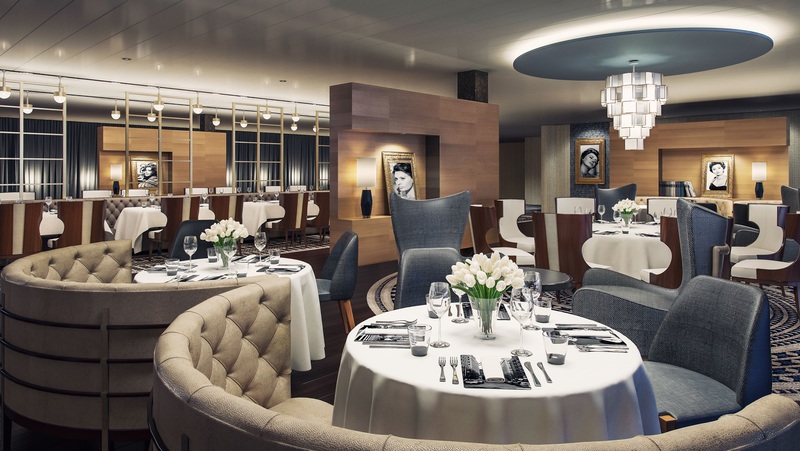 Stretching 290 metres, Emerald Princess’ highlights include SHARE by Curtis Stone, a stunning 125-seat restaurant overlooking the aft decks and featuring delicious offerings from the award-winning internationally known chef. 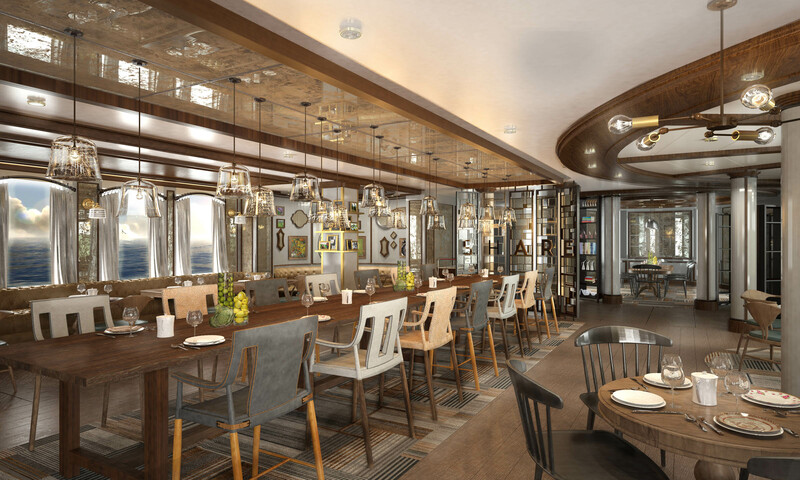 The restaurant is one of more than a dozen dining options on the superliner, which also features Princess’ new Salty Dog pub, serving up gourmet small dishes developed with renowned US chef Ernesto Uchimura, and whiskey flights. Emerald Princess’ arrival will also set the stage for the debut of some great new entertainment offerings in Australia including the much-anticipated onboard musical Magic to Do from Oscar and Tony award-winning Broadway composer Stephen Schwartz. Guests can also enjoy the spectacular new Voice of the Ocean competition, exclusive to Princess, which brings the spectacle of TV's wildly popular international singing competition to the high seas. 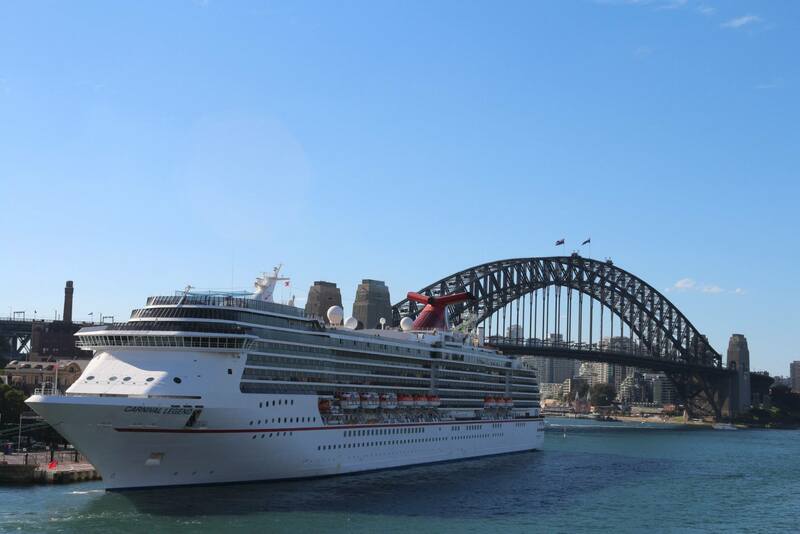 P&O CRUISES AUSTRALIA SETS THE STANDARD, BEING VOTED AUSTRALIA'S FAVOURITE FAMILY CRUISE LINE. P&O Cruises has been voted Australia’s Best Family Cruise Line by the well-travelled readers of one of Australia’s leading family publications - Out & About with Kids. The cruise line has taken out the top cruise gong in the magazine’s annual Best of Family Travel Readers Choice Awards. 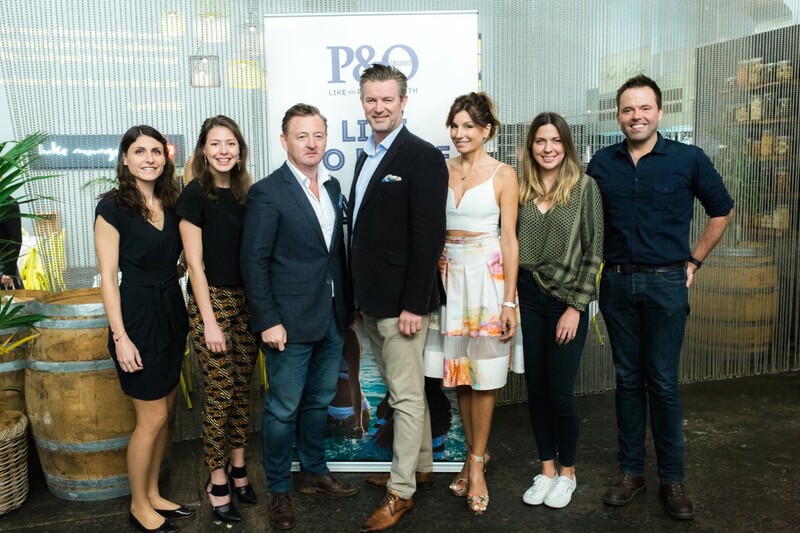 P&O Cruises President Sture Myrmell said the award was a welcome win at a time of expansion for P&O, which is the largest cruise line in Australia, offering five ships sailing from eight different homeports year round. “We pride ourselves on offering great value, fun and memorable family holidays and to be voted Australians’ favourite family cruise line is a real honour. 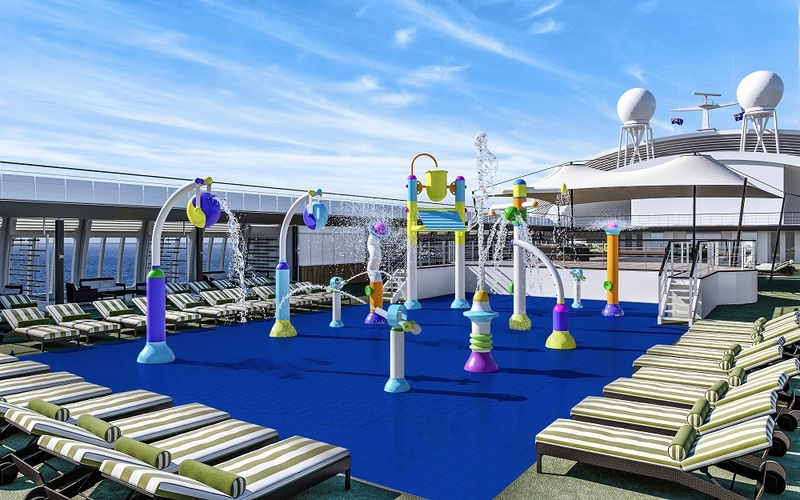 With the recent announcements of our new waterparks for Pacific Dawn and our latest ship Pacific Explorer, family cruising with P&O is about to get even more exciting,” Mr Myrmell said. 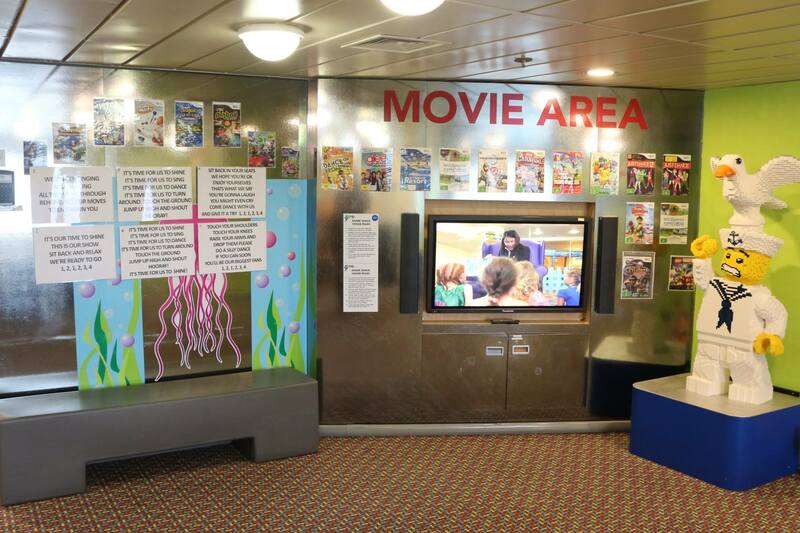 P&O caters to families of all types and sizes with triple, quad and interconnecting cabins, the biggest adventure park at sea – P&O Edge, kids clubs, late-night babysitting and fun onboard activities from movie-making to Lego. Photos credit : Brian Gaskin Of Cruise The Seas Media. 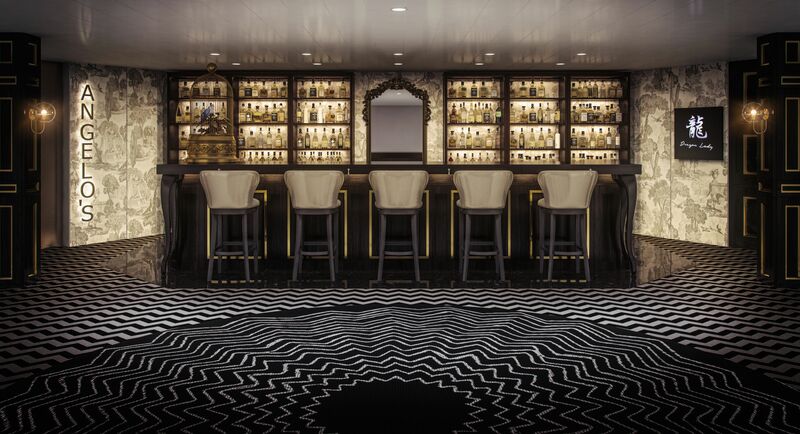 CUNARD CREATES COCKTAILS FOR IT'S COMMODORE CLUB ONBOARD QM2, INSPIRED BY KNIGHTED COMMODORES. 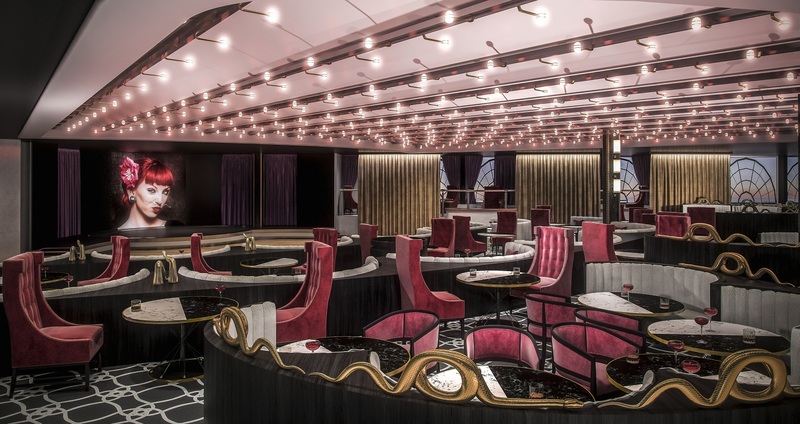 Cunard has revealed a new menu for its popular Commodore Club, featuring a blend of signature cocktails created in honour of each of the cruise line’s seven knighted commodores. 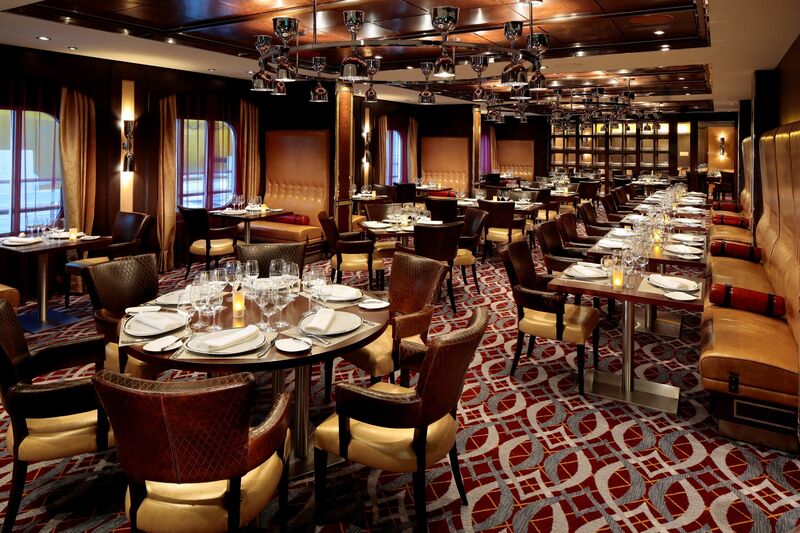 The menu shares the fascinating stories of the knighted Cunard Commodores and features special illustrations in a modern menu design, infusing the cocktail experience onboard Cunard’s three Queens with rich maritime history. 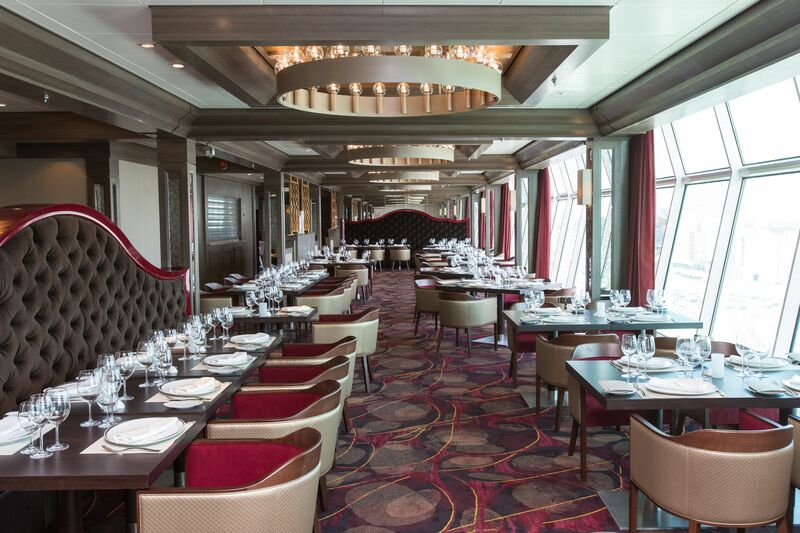 With the Commodore Club enjoying a prime location on each of the Cunard Queens, the transformed menu is one of a number of new food and beverage concepts being launched across the fleet. 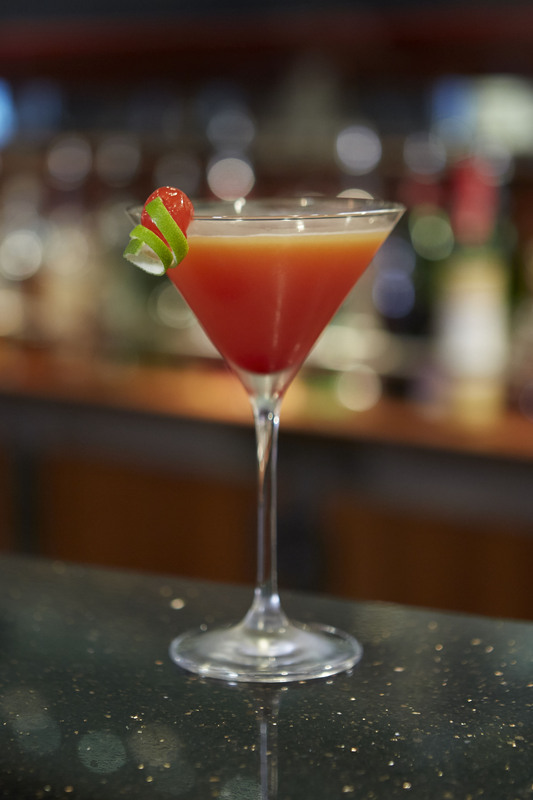 The seven newly designed cocktails include ‘Over the Top’ inspired by Commodore Sir James Charles (1865-1928). Known for doing things on a grand scale, this Commodore’s dinner parties aboard Aquitania were renowned as opulently social affairs, and this aromatic and refreshing sharing cocktail is extravagantly presented, just the way Sir James would expect. Another cocktail on the menu is the ‘Punch Romain à la Carpathia’, believed to be the last libation served onboard the Titanic. This intriguing cocktail is inspired by Commodore Sir Arthur Rostron (1869–1940), who led the safe rescue of passengers on the Titanic, and features Advocaat as the signature ingredient. 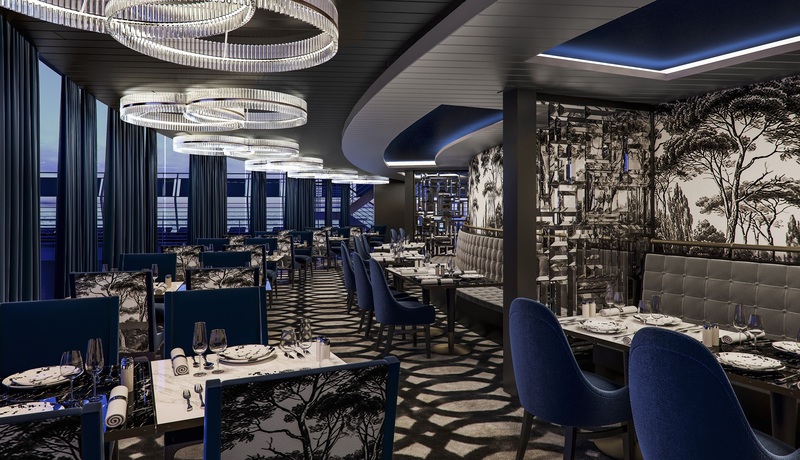 Cunard worked with illustrator Lauren Crowe who created intricate pencil illustrations of each of the knighted Commodores as part of the new menu design. Cunard Director Angus Struthers said commemorating Cunard’s seven most decorated Commodores was testament to their prestige and rich history. “Inspired by this history, each character is reflected in an artful and carefully crafted way, and we hope our guests enjoy this new series of cocktails celebrating the Commodores’ remarkable stories,” Mr Struthers said. 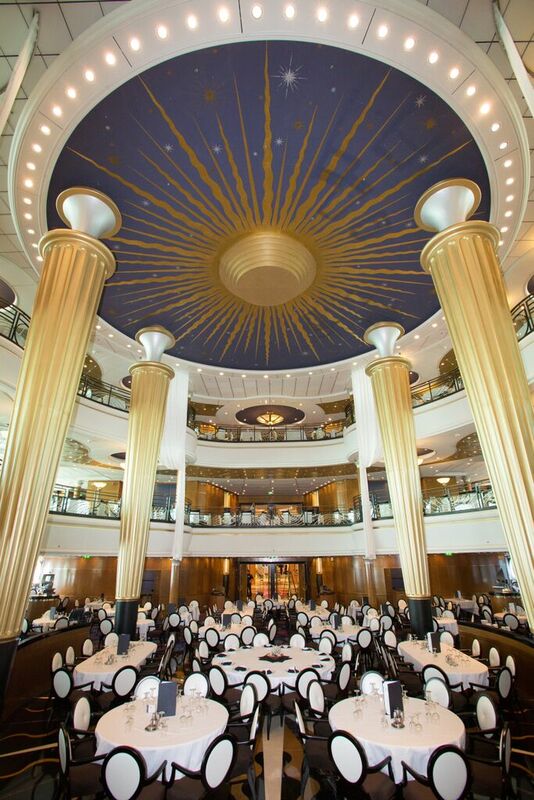 Images by : Cunard Line. ROYAL CARIBBEAN'S SOUTH PACIFIC SISTERS ARE BIG ON FUN IN THE SUN ! 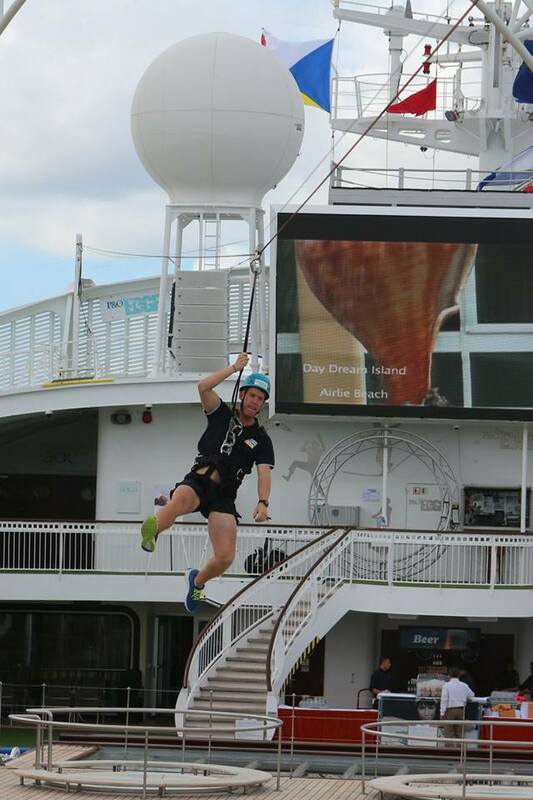 ROYAL CARIBBEAN’S SOUTH PACIFIC SISTERS ARE BIG ON FUN IN THE SUN ! 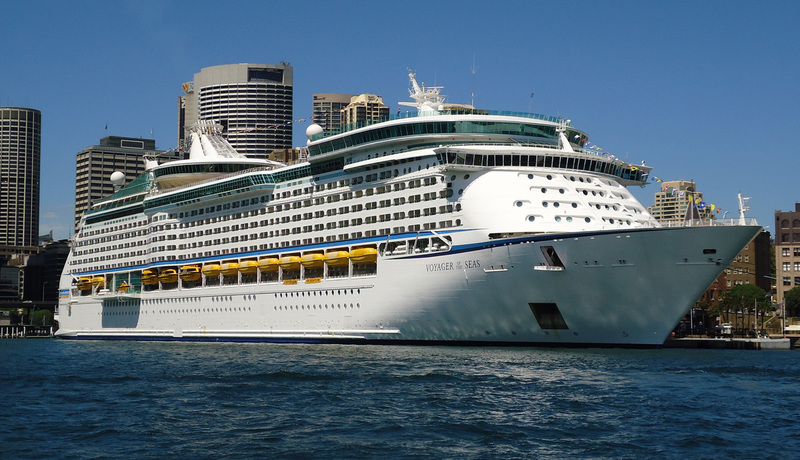 This summer cruise season, Australians can expect big fun in the South Pacific on Explorer of the Seas and Voyager of the Seas - Royal Caribbean’s twin sister ships that are dedicated to sailing Pacific itineraries all summer long. The megaliners are amongst the region’s largest – second only to Royal Caribbean’s Ovation of the Seas – and boast an array of features that can only be found on Royal, like the twin FlowRiders that feature on their top decks, ice skating rinks where the young and young at heart can test their skills and virtual balconies for real time ocean views in interior staterooms. 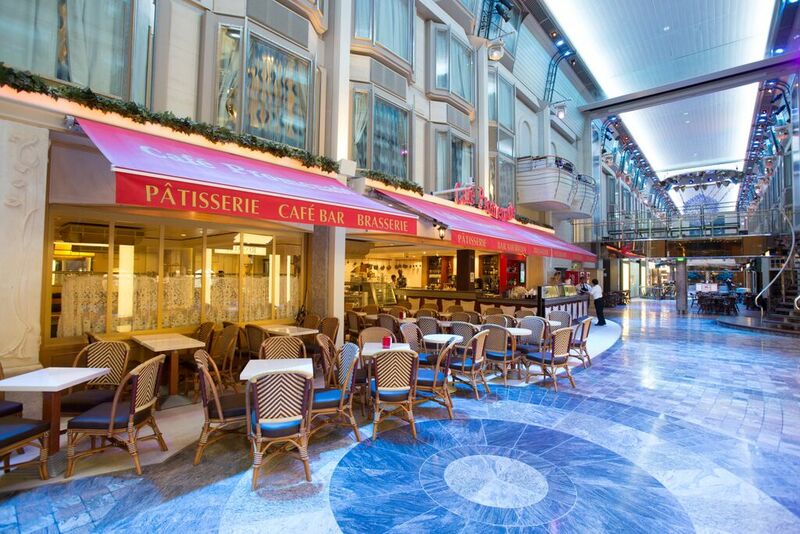 Royal Caribbean’s Voyager Class pioneered the interior promenade in cruise ship design, allowing interior staterooms to look down on to an indoor street lined by cafes, shops and bars, where colourful characters from much loved movies like Shrek and Madagascar light up the night with family parades and shows^. “Since we arrived in Australia some eight years ago, we’ve been delivering Australians with the style of cruising they had previously been travelling overseas for. 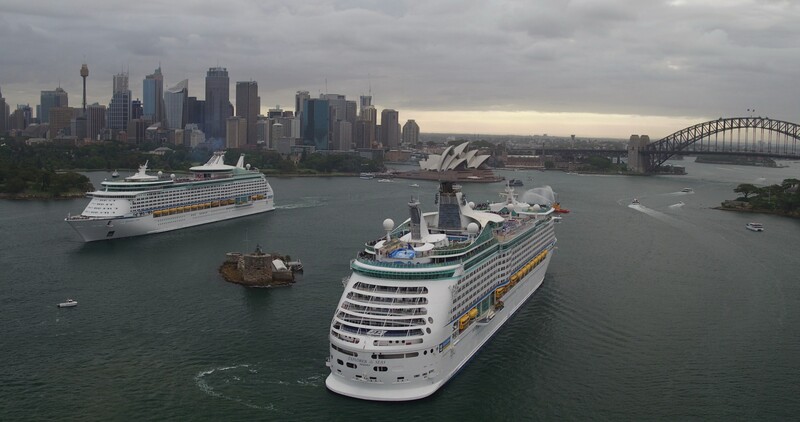 With two Voyager Class megaliners now sailing from Sydney, there’s double the opportunity to cruise on Australia’s most feature-packed ships, and double the fun,” Armstrong concluded. There’s no better time to start planning a family getaway in the sunshine than with Royal Caribbean's Island Time Sale, with savings across the South Pacific Sisters’ itineraries. 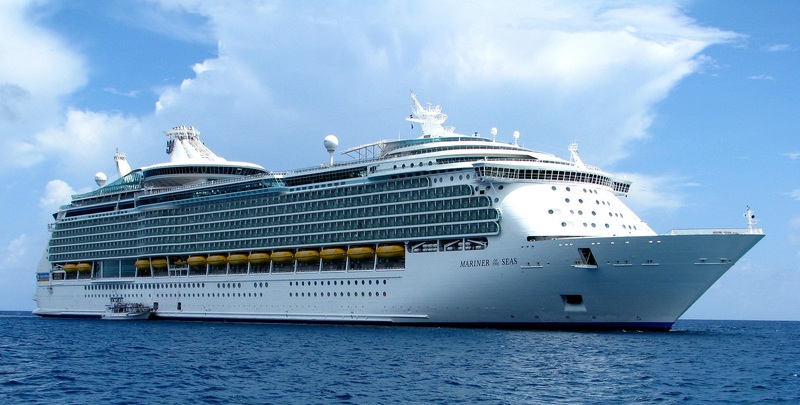 Fares for a seven night roundtrip sailing on Voyager of the Seas start from AUD$1,009 for the first guest and AUD$549.50 for the second, when booked before 30 July 2016. The cruise departs Sydney 1 November 2016 and includes calls to Noumea and Isle of Pines in New Caledonia*. PACIFIC DAWN TO ADD NEW AND EXCITING FEATURES IN A BOOST FOR QUEENSLAND CRUISING ! Pacific Dawn To Add New And Exciting Fetures In A Boost For Queensland Cruising ! As "Breaking News" By Cruise The Seas Media On The 17th Of jULY 2016. 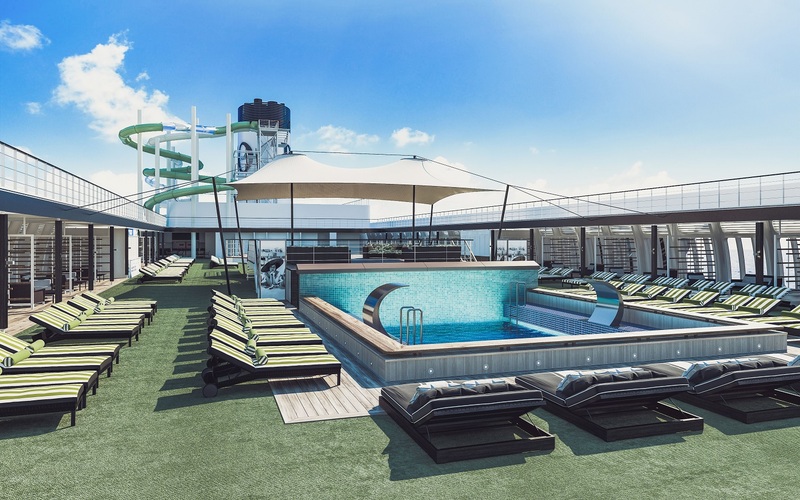 P&O Cruises has underlined its commitment to the Queensland cruise market, announcing a major multi-million dollar refit for its Brisbane-based ship Pacific Dawn which will include a new state-of-the-art waterpark. The Waterpark At Sea Kids Only Area. 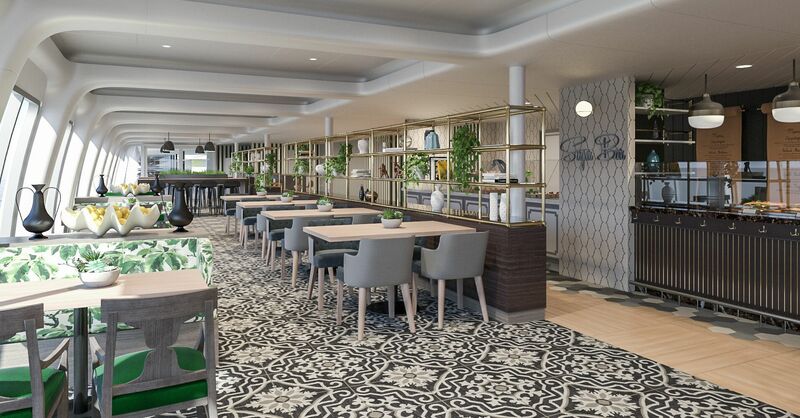 Maintaining the cruise line’s reputation for innovation, the Brisbane-based superliner will emerge from its revamp with The Pantry, an international market place of fresh food outlets which will replace the traditional ship buffet. 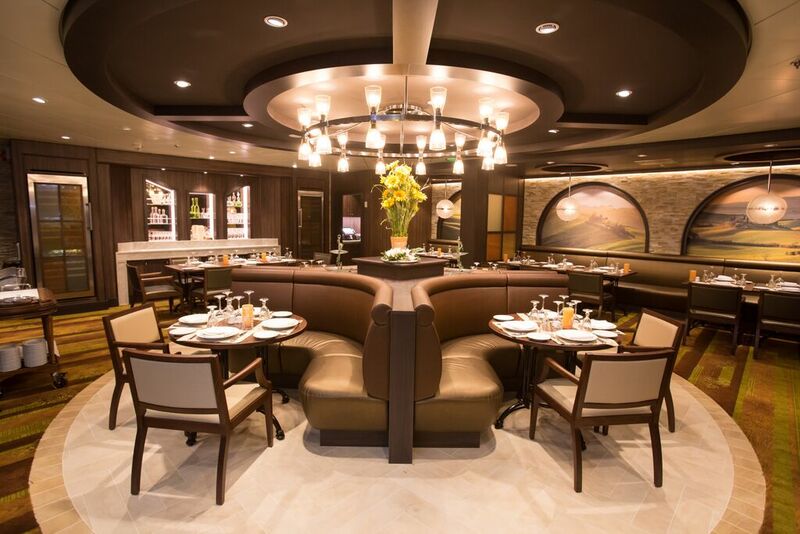 In addition to the tried and tested outlets that have made the dining concept hugely popular, Pacific Dawn’s Pantry will include a new Mediterranean-inspired offering called Nic and Toni’s. 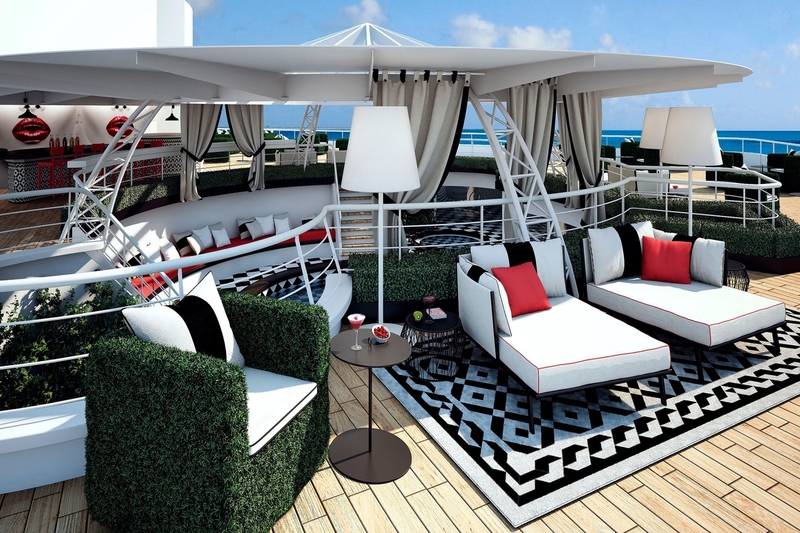 Also on offer will be the extremely popular poolside Grill, offering casual dining options. 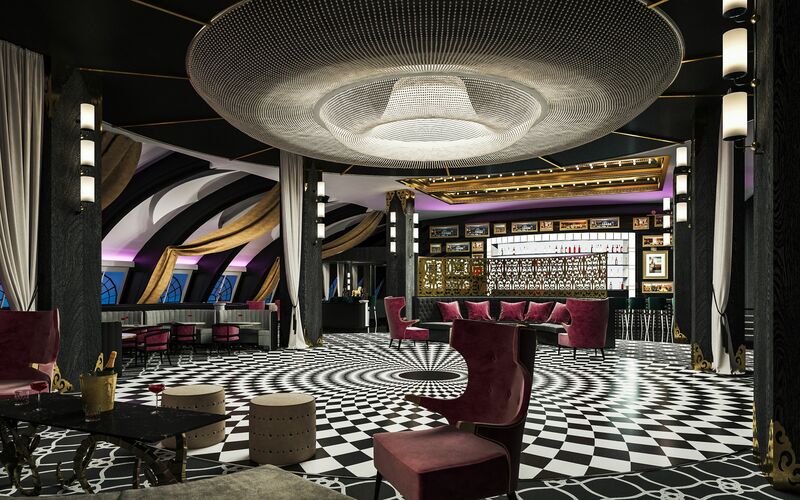 Several of Pacific Dawn’s public spaces will be redesigned to mirror the striking contemporary look which has become a trademark of the P&O fleet including the atrium, Charlie’s, The Orient and the Promenade Bar, which will be styled with similar décor to sister ships Pacific Aria and Pacific Eden. 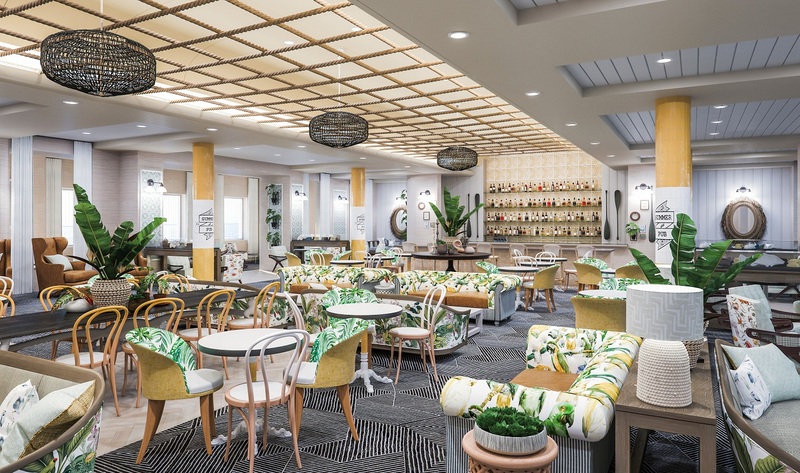 P&O’s increased presence in Queensland follows the impressive growth in the number of passengers cruising from Brisbane since P&O became the first cruise line to base a ship in the city in 2004. Latest industry statistics show that Queensland leads Australia in terms of cruising growth with the State’s passenger numbers rising almost 30 per cent to 282,000 in 2015. Holidaymakers will be able to enjoy Pacific Dawn’s new features from March 2017. Cruises include a seven-night South Pacific itinerary departing Brisbane on May 13, 2017, priced from $849* per person quad share. "LOVE BOAT" CAPTAIN GAVIN MACLEOD CELEBRATES 30 YEARS SERVING AS GLOBAL AMBASSADOR FOR PRINCESS CRUISES ! 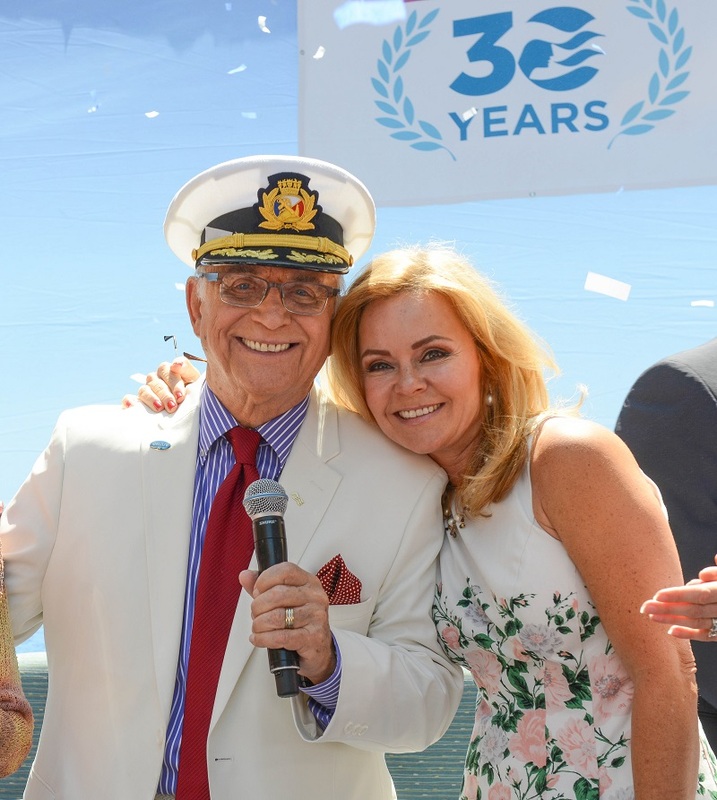 Princess Cruises has celebrated its 30-year partnership with its global ambassador Gavin MacLeod, the beloved award-winning actor who played Captain Merrill Stubing on the iconic “Love Boat” TV show. The city of Santa Clarita, California, home of the world headquarters of Princess Cruises, honoured Mr MacLeod by proclaiming July 6 “Gavin MacLeod Princess Cruises Ambassador Day” during a special ceremony hosted by Captain Stubing’s TV daughter Jill Whelan, aka “Vicki Stubing,” which was attended by hundreds of Princess employees and fans. Mr MacLeod has now served as the cruise line’s celebrity ambassador for three decades, exclusively promoting the premium cruise line to millions of consumers through thousands of media interviews, public appearances, travel industry conferences and onboard the Princess Cruises’ fleet, proudly sharing the joys of cruising. During the festivities it was revealed that Mr MacLeod will continue his ambassador duties for Princess with an upcoming role as celebrity judge on the newest onboard entertainment offering, “The Voice of the Ocean.” The show is based on the excitement and spectacle of TV’s wildly popular international singing competition and is brought to life throughout the cruise with auditions, mentor rehearsal sessions, the iconic “I Want You” chairs, three charismatic team coaches and ultimately a live finale performance where guests choose the winner. Princess Cruises Vice President Australia & New Zealand Stuart Allison said Gavin was a well-known and much-loved identity throughout the world, including in Australia where his appearances have always proved popular. From 1977-1986, Mr MacLeod won the hearts of millions of viewers playing everyone’s favourite cruise ship captain on “The Love Boat,” as Princess Cruises served as the backdrop for what became one of the highest-rated primetime television shows in history. 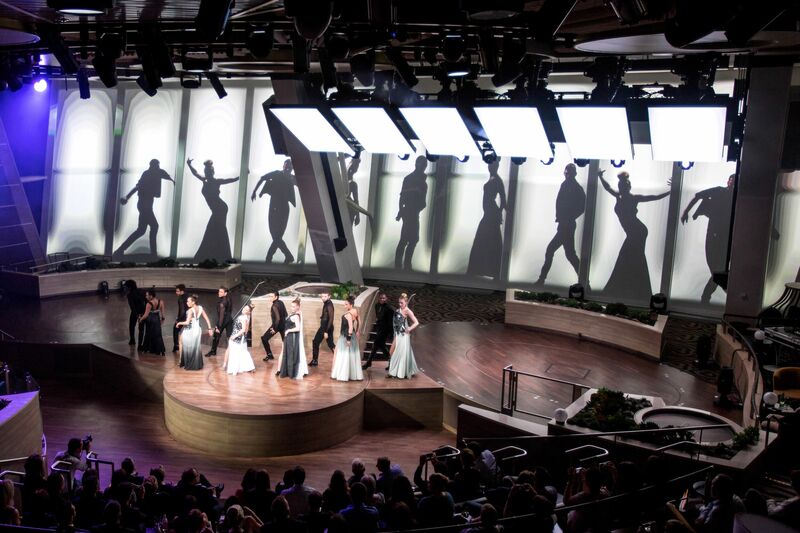 The show has been widely credited with introducing millions of viewers to contemporary cruise holidays sparking a dramatic expansion of the industry. 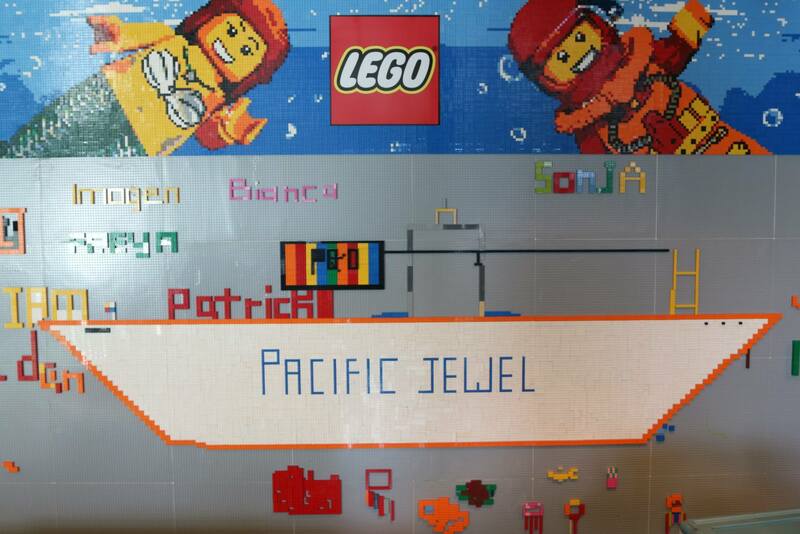 P&O CRUISES AUSTRALIA UPS THE ANTE WITH PACIFIC EXPLORERS NEW FEATURES ON SHOW IN UNVEILING ! P&O Cruises Australia Ups The Ante With Pacific Explorers NEW Features On Show During Unveiling ! 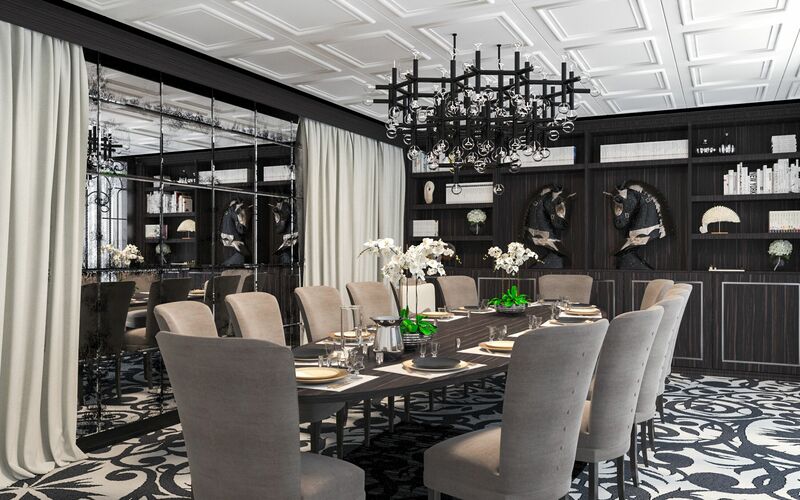 The Black Circus Supper Club. 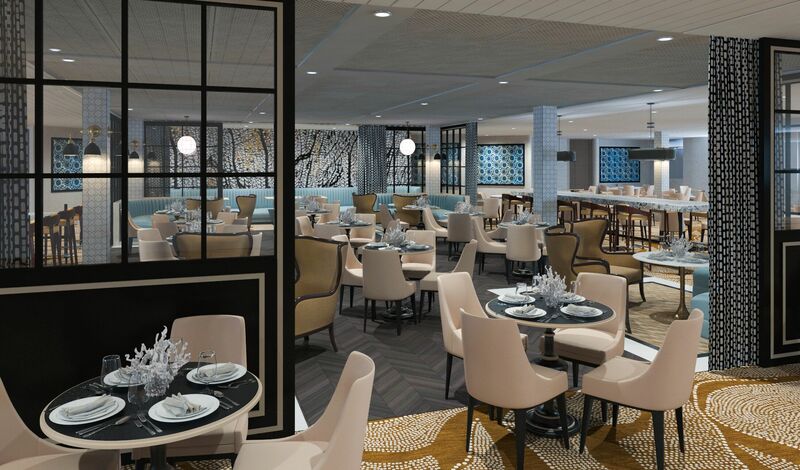 The new dining options are in addition to the cruise line’s popular Waterfront restaurant, which will feature on Pacific Explorer along with two other restaurants which debuted on Pacific Aria and Pacific Eden last year: Angelo’s, serving contemporary Italian cuisine. 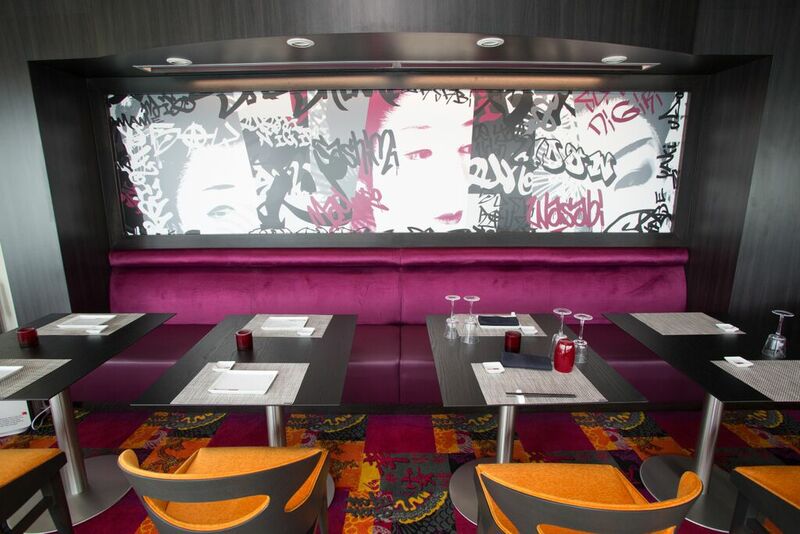 The sultry Asian dining venue. Fares on Pacific Explorer start from $1249* per person quad share for the ship’s 10-night inaugural cruise to the Pacific Islands, departing Sydney on June 22, 2017. For more information visit www.pocruises.com.au, or call 13 24 94 or see a licensed travel agent. NORWEGIAN CRUISE LINE UP AND RUNNING IN AUSTRALIA, WITH NEW WEBSITE LAUNCHED. Norwegian Cruise Line, Up And Running In Australia. 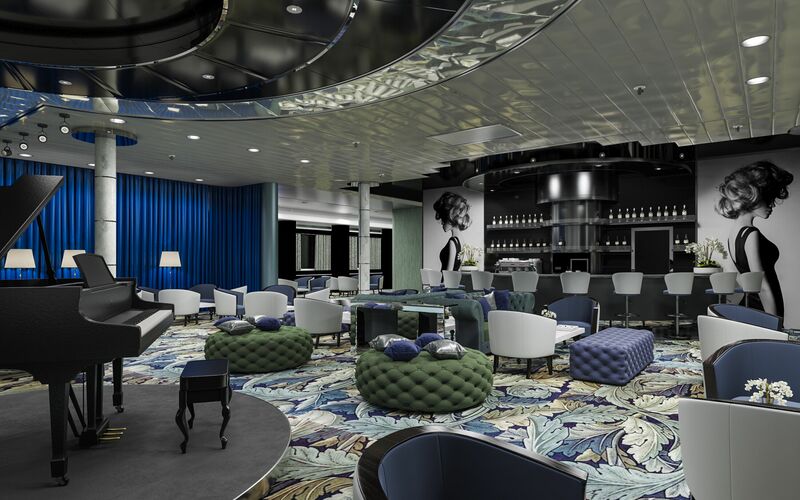 Norwegian Cruise Line (NCL) this week celebrated the launch of its new Australian website, which has been transitioned to the brand’s new global platform. The easy-to-navigate site has been tailored for Australian audiences – displaying all fares in Australian dollars – and is designed to deliver an enhanced user experience and centralise global product management, ensuring up-to-the-minute product information on berth availabilities and special offers. The mobile-optimised design allows for on-the-go researching, and new features such as the quick and easy ‘Find a Holiday’ search tool makes planning the perfect trip possible with just a few simple clicks by selecting destination, dates, number of days, port of departure and/or ship. An ‘Advanced Search’ option allows holiday-planners to drill down to stateroom type, number of guests and average price per person. Bundled travel including cruise, hotel and airfares can also be quickly searched. For those looking to combine itineraries, NCL’s local, Sydney-based Contact Centre can easily assist with this. Itineraries, pricing and bookings for NCL’s 2016/2017 worldwide itineraries are available via the website now, with pricing and bookings for Norwegian Jewel’s inaugural Australasian season also avalible to view and book. Together with the United States and Brazil, Australia is one of the first markets to transition to NCL’s new, globalised web platform. · Connect with the NCL Business Development Manager in your local area. 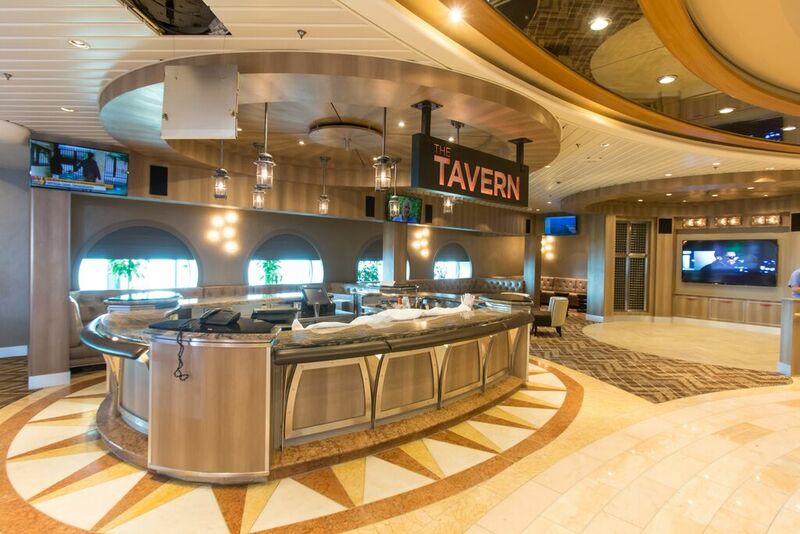 Information supplied by : Norwegian Cruise Line.